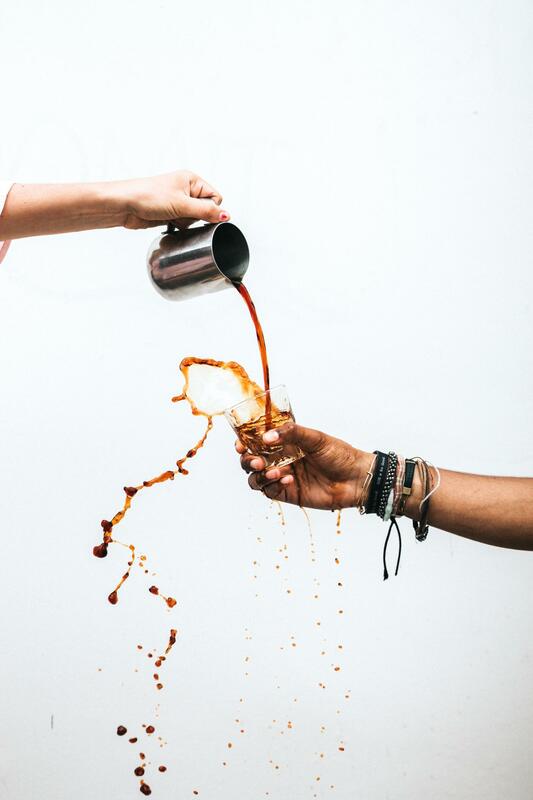 If cafés around the world have only two things in common, they’re coffee and community. 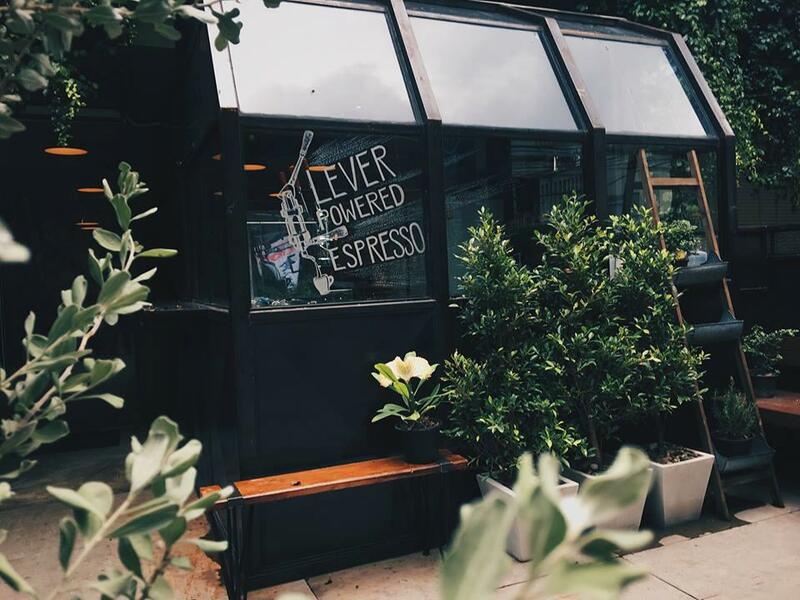 These little (and big) coffee shops and watering holes tend to become local cultural hubs -- places where locals and tourists alike can get together casually, recharge, study, read a book, or simply enjoy a sunny, comfortable space. 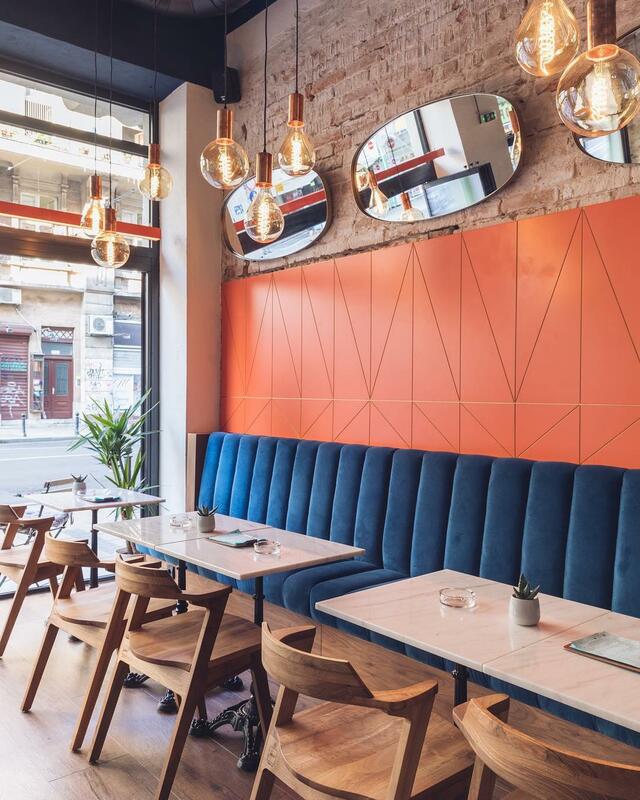 It’s with that sense of community that we bring you some of the year’s hottest new café openings from Portland to Belgrade to London. Some are fancy, but most are casual. Some serve food and some roast their own coffees. Some host events and others are just counter-service. All are doing their own thing in a cool space that we can get behind. New York based architecture firm Studio Cadena was behind the impressive design concept and build-out of Masa’s new restaurant, café, bakery and retail shop in Bogotá. 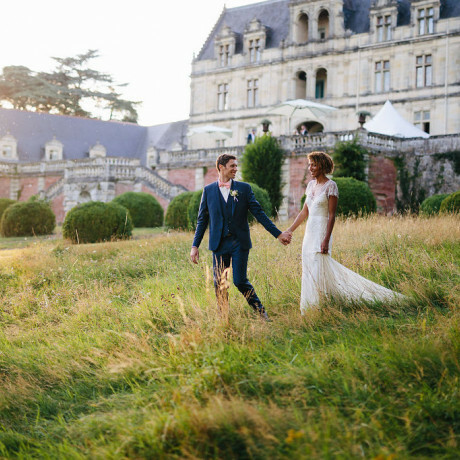 The place is grand yet through an interesting medley of design choices manages to feel intimate and cozy inside. The outdoor patio would be a lovely space for a birthday gathering or casual event. 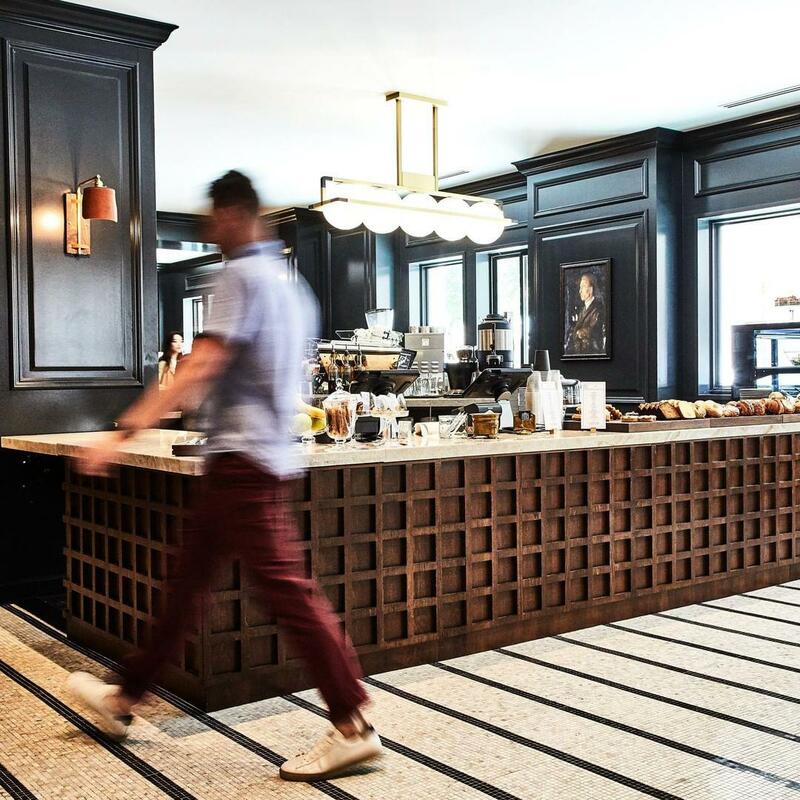 San Francisco’s popular Proper Hotel, designed by Kelly Wearstler, is home base for this café and market. The menu offerings are simple but delicious with foamy cappuccinos, craft beers, light bites, craft cocktails and boutique wines. The café opens up to a patio and the entire space can be privately reserved for events of up to 40 guests. It’s perfect for something like a meet-and-greet, cocktail party, book signing, product launch or creative networking event. Coffee, espresso, tea, beer and baked goods are on the short list of items offered at DC’s Kintsugi. 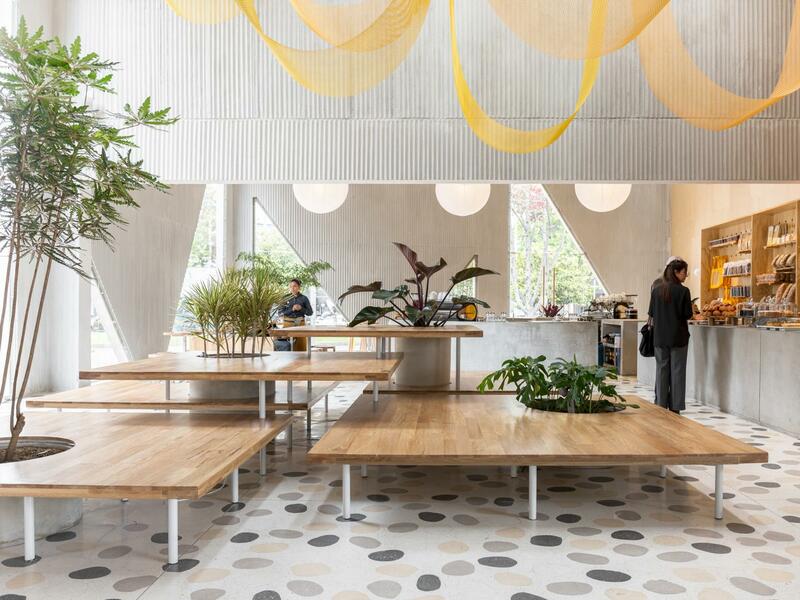 Located inside Eaton, a politically-minded hotel and community hub, Kintsugi offers a warm-wooded, colorful, plant-filled hideaway that’s equally comfortable for catching up with fellow activists over coffee or hosting an event. The space can be bought out and would make an excellent backdrop for a fundraiser or community event. Hearty grain bowls, nourishing broths and delicious whole foods are served at this Singapore café. The light-filled space has a cool mid-century furniture shop feel with interesting decorative objects and patterned tilework. It would be a nice space to buyout for a baby shower, bridal shower, product launch, wellness event, workshop, holiday party, birthday or photo shoot. 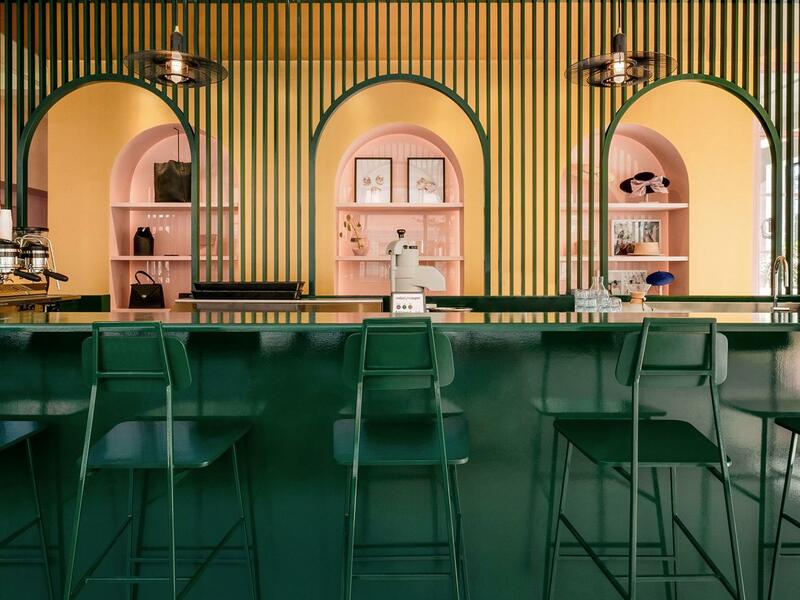 Part rosy pink café, part hunter green wine bar, part stark white workshop and leather goods boutique, Pastel Rita is a design chaser’s fantasy of color play. Ready for the best part? 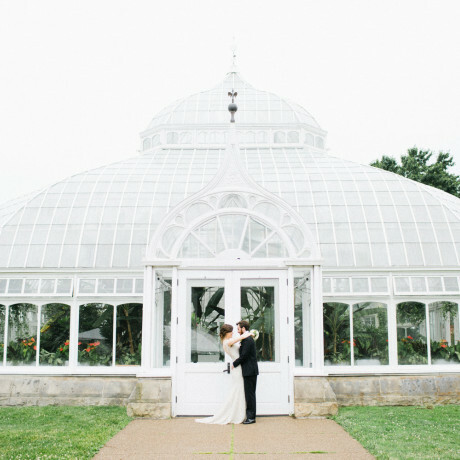 You can rent out the whole place for parties, pop-up shops, baby showers, bridal showers, product launches or whatever else you’re planning. 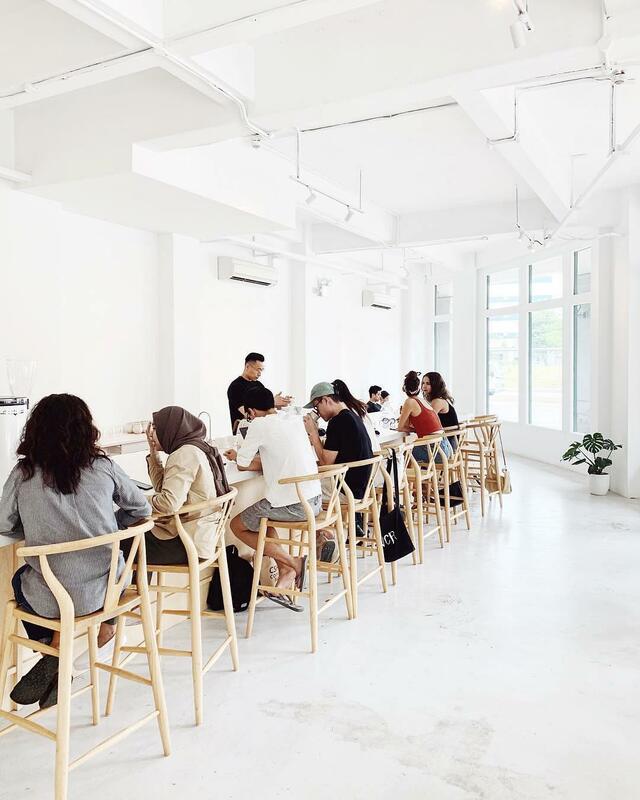 The impeccable creamy white-and-black space with pops of brass and wood at Coffee Sometime make it high on the list of photo worthy cafés. 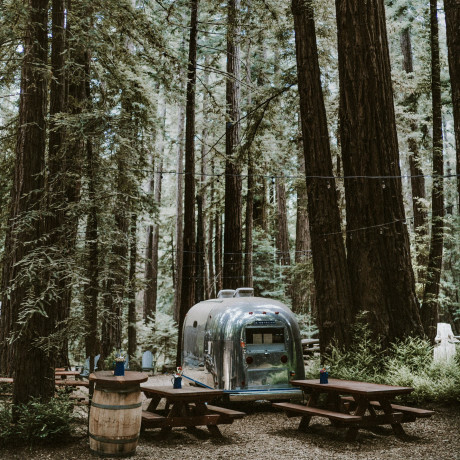 We’d love to see a photo shoot, product launch or pop-up shop here, but simply stopping in with your travel buddies for lattes and strawberry French toast works too. Hamilton’s neighborhood bookshop with a café inside, SYNONYM is open all day. The vegetarian kitchen offers things like avocado toast, crunchy mac n’ cheese bowls and matcha shortbread ice cream as well as a slew of coffees, craft beers and natural wines. 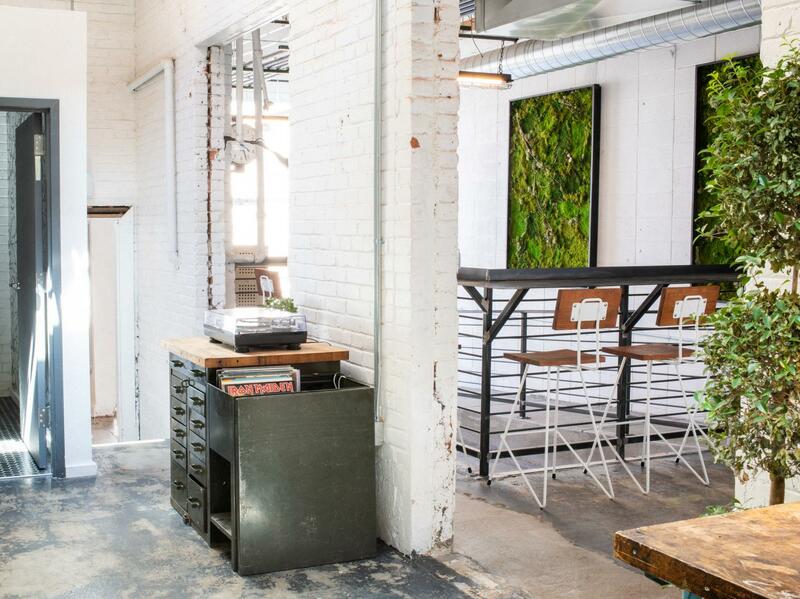 The creative space can be privately booked and would be a great backdrop for a product launch, pop-up shop, meet-and-greet, cocktail party, book signing or social gathering. 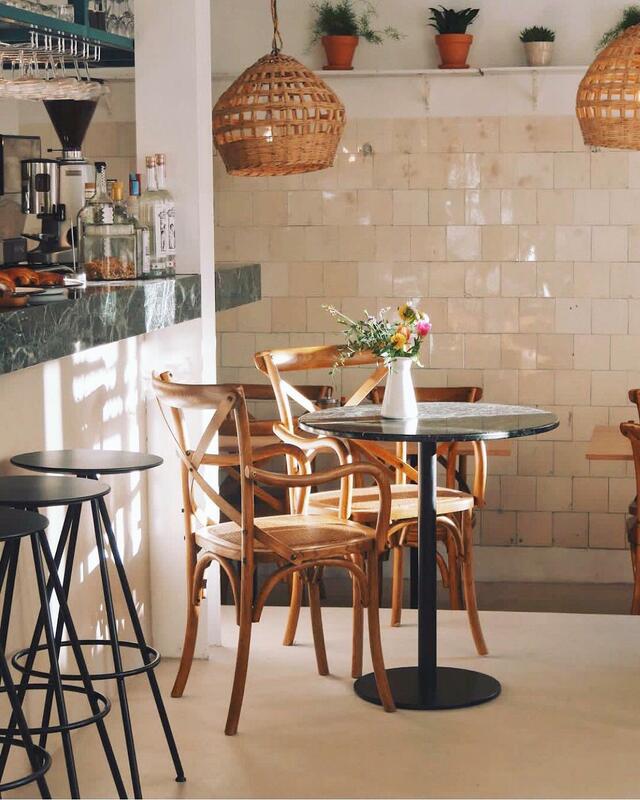 This pocket-sized café in Lisbon brings Australian-style all-day brunch to its marble tables. The space is a beauty, flooded with shades of green. 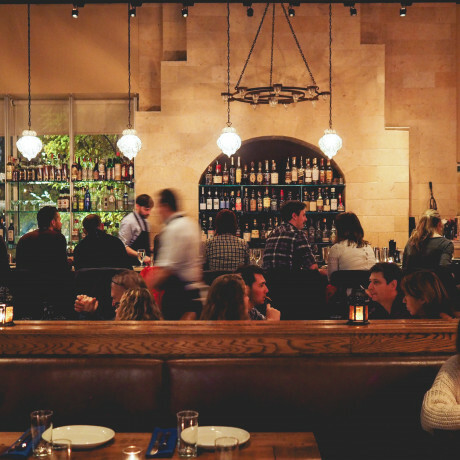 Though Dede’s is only open on Friday nights for now, you might be able to book a private party on another night or head here during the day with a small group. Ultra-modern design outside and in take Transit Number 8 to the top of our design crush list. This travel-themed Chiang Mai coffee shop is located near the airport, making it an easy place to stop on your way in or out of town. 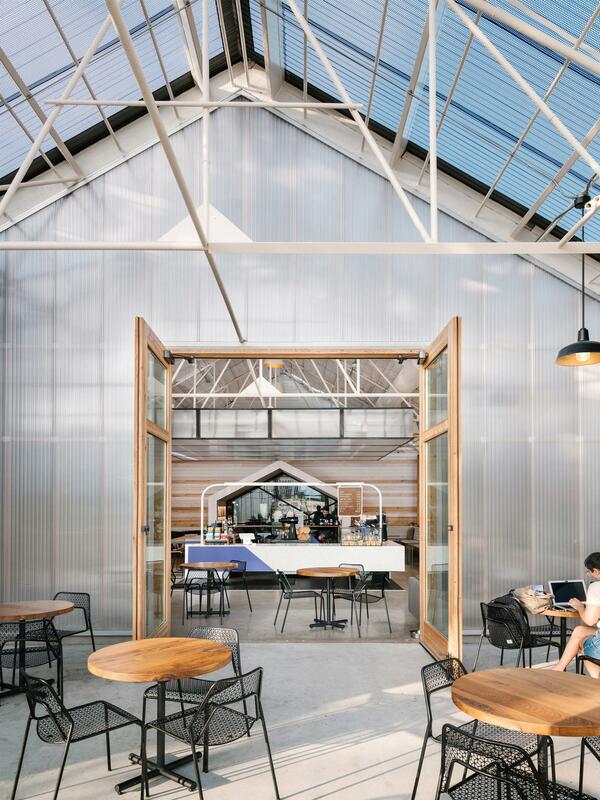 Photo: Greater Goods Coffee Roasting Co.
Not only is this Austin coffee roasting company a great place to grab a cup in East Austin (new! 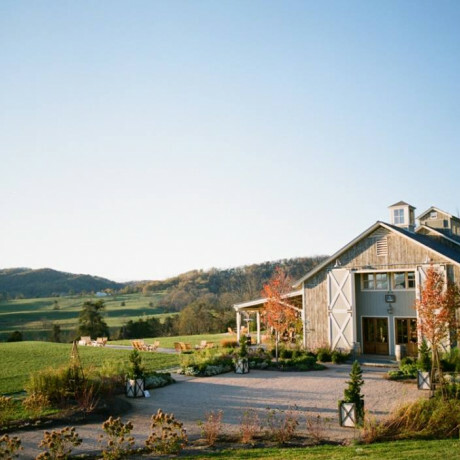 ), The Uplands or Dripping Springs, but it’s also a great place to bring your flock for coffee workshops. 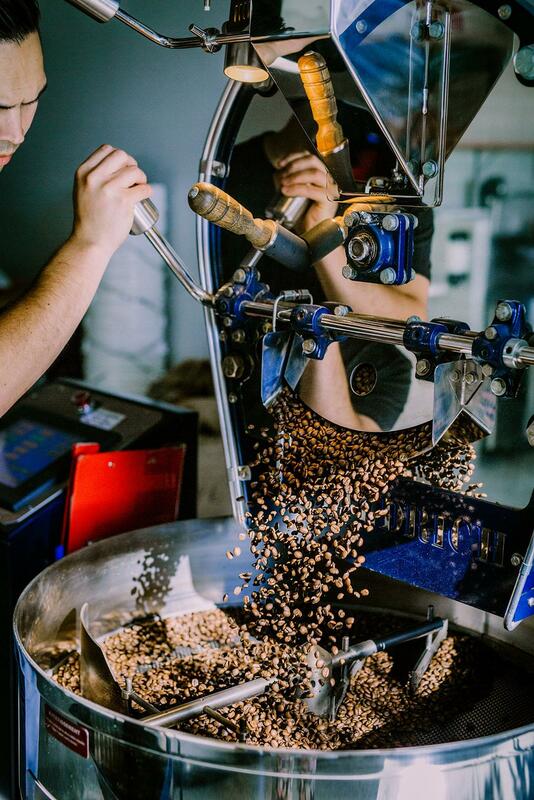 Learn how to roast at home, brush up on your latte art skills or get the skinny on all the brewing methods out there. Or, if you’re in the market for a workshop or pop-up event space, the East Austin outpost has a cool lab space with seating for up to a dozen guests. 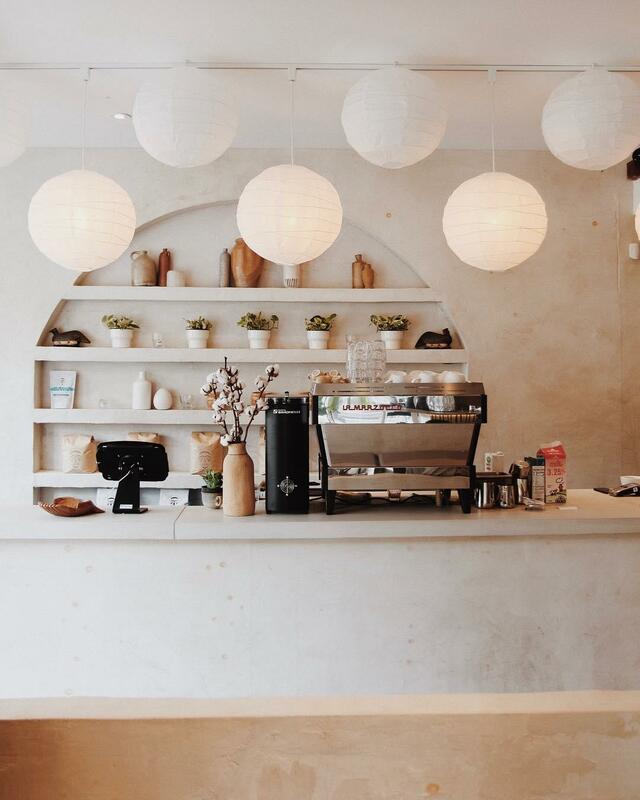 This café and wine bar in Queen’s Park sources the best coffees and organic, natural wines. It’s the kind of place that’s bright and warm, the kind of place that’s cozy for catching up with friends. 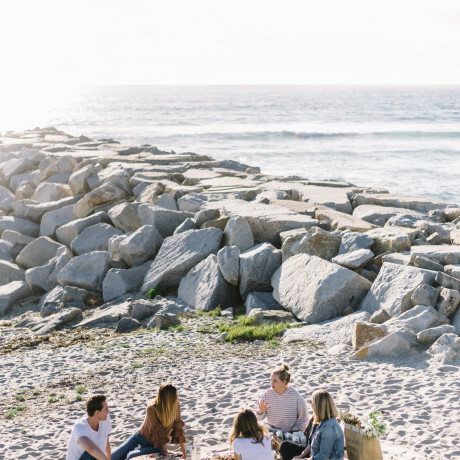 Milk Beach is available for private parties and would be awesome for a creative workshop, a private wine tasting event, a photo shoot for a lifestyle brand, a bridal or baby shower, or a birthday party. 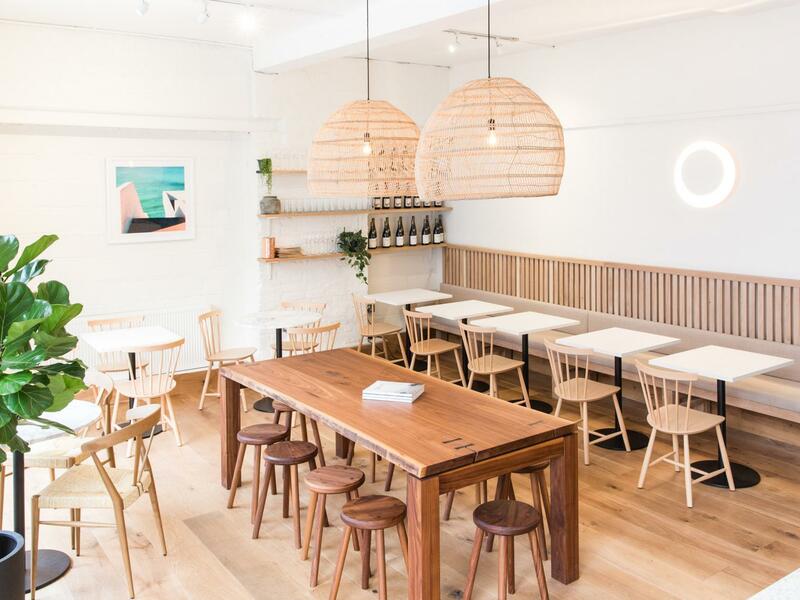 This beachy, breezy Australian café is located in Melbourne’s Albert Park neighborhood and offers all the classics you’d expect from your local café -- smashed avo, hotcakes, fritters, flat whites and so forth. 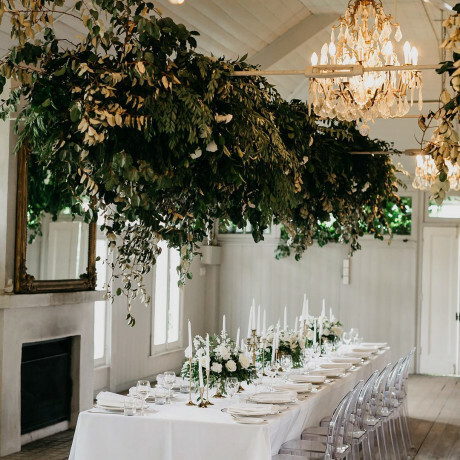 The bright, all-white space feels like it’d be a great place to have a collaborative meeting or book a special event like a birthday brunch or a bridal luncheon. The second location for Amethyst, Lakeside is cool, artsy and an easy space to spend a couple hours working or socializing. They brew Commonwealth Coffee daily and have a solid list of featured roasters. 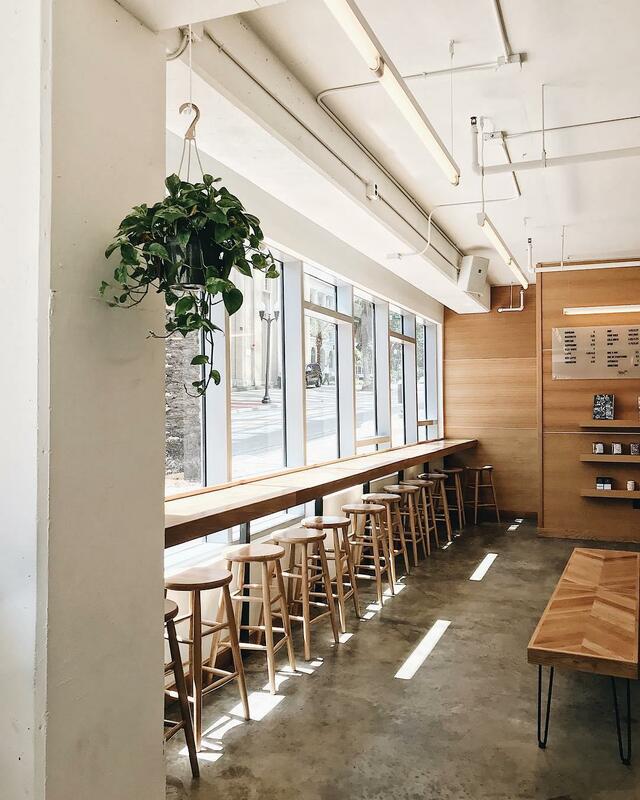 More than just a beautiful space, this Montreal café does tiered trays of tea sandwiches and charcuterie style snacks that are easy to share. Best shared with friends who appreciate the importance of ambience and a really good wine selection. Found you a coffee shop with oat milk in Singapore! 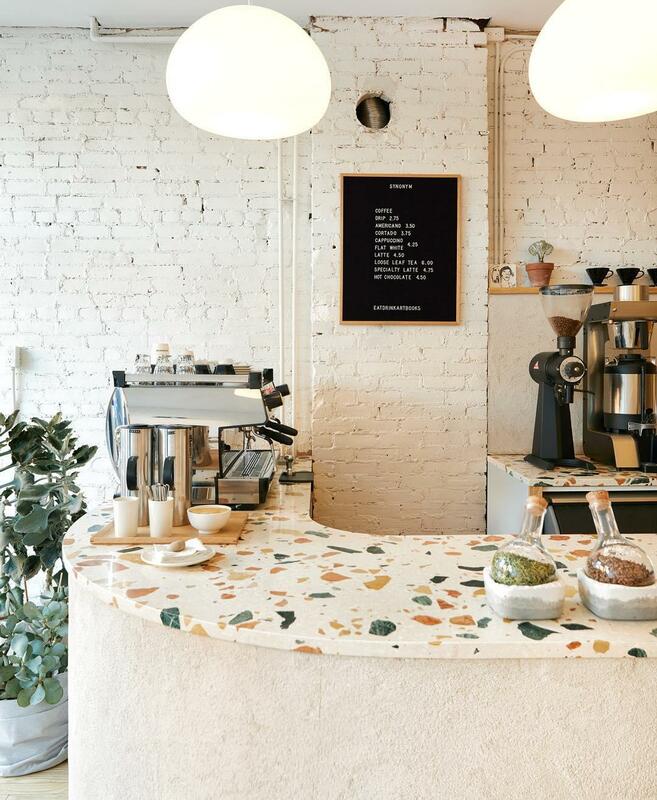 This beauty of a modern space offers craft coffee and local pastries via a nearby bakery. 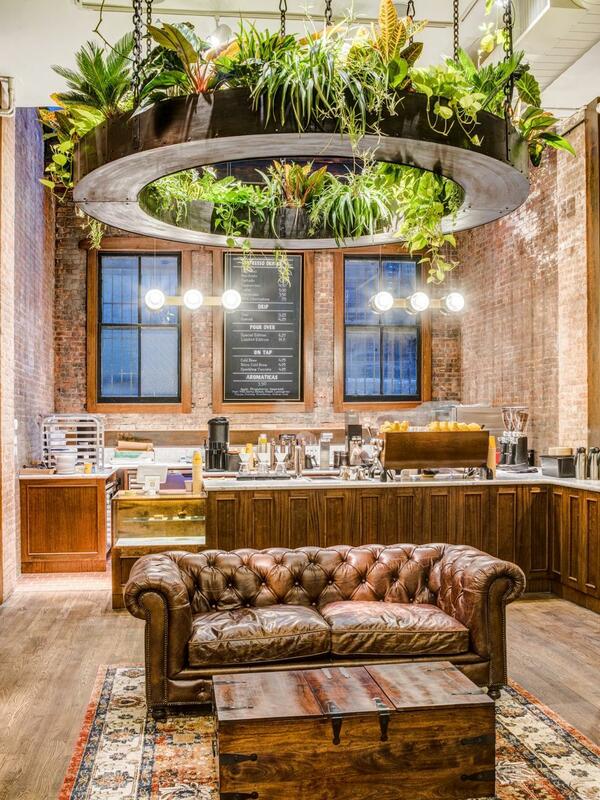 We’d love to see a florist do a pop-up shop here during coffee hours. Planning a meetup with your parent friends? Head to this San Rafael café that has a playground with childcare that you can pay for by the hour. Fox & Kit also doubles as a great place for kid parties! 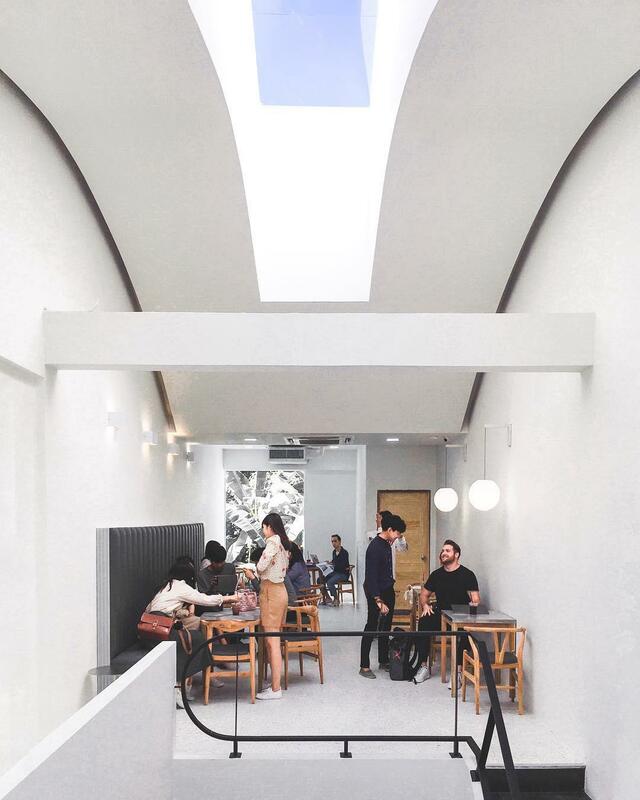 Capitol Hill’s Atulea is a modern tea room that specializes in Taiwanese cheese tea -- a blend of iced tea with a cheesecake-like layer of frothy cream cheese on top. You’ll also find matcha, milk tea and coffee on the menu. The bright pink-and-green tropical theme of the space would make a great backdrop for a baby or bridal shower. This old school alimentari feels more like a place you’d be delighted to stumble upon in a small Italian village than like a stylish Vancouver eatery, and yet that’s exactly what it is. The housemade pastas are the main draw, but the Italian coffee selection and ricotta-filled sfogliatella pastries never disappoint. For those who enjoy cooking for themselves, Caffé La Tana has a whole sparkling case filled with freshly made pastas as well as a selection of imported meats, cheeses and Italian specialty items. 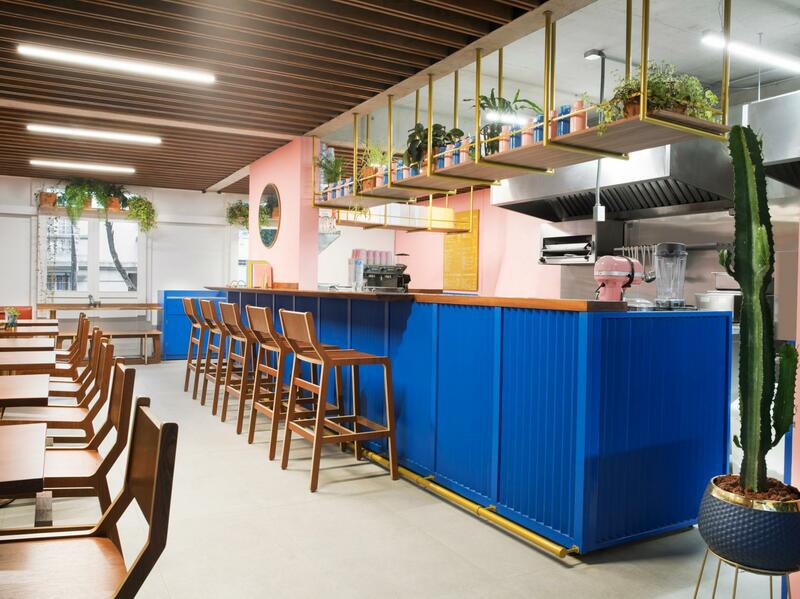 The pink and cobalt branding and interiors at this Mexico City café have us wanting to add this color combo to our regular repertoire. Motín does coffee by day, wine by noon and a solid breakfast/brunch menu too. The space isn’t very big, but there’s a garden out back. You could easily meet up with a small group of amigos here. The Kenton coffee shop known for its delicious coffees and freshly baked stroopwafels opened a new location in Beaumont last spring, slinging the same great pastries and brews. The Beaumont shop is a blue-hued beauty with lots of windows and tables, making it an easy place to have a meeting or enjoy a selection of afternoon sweets with friends. 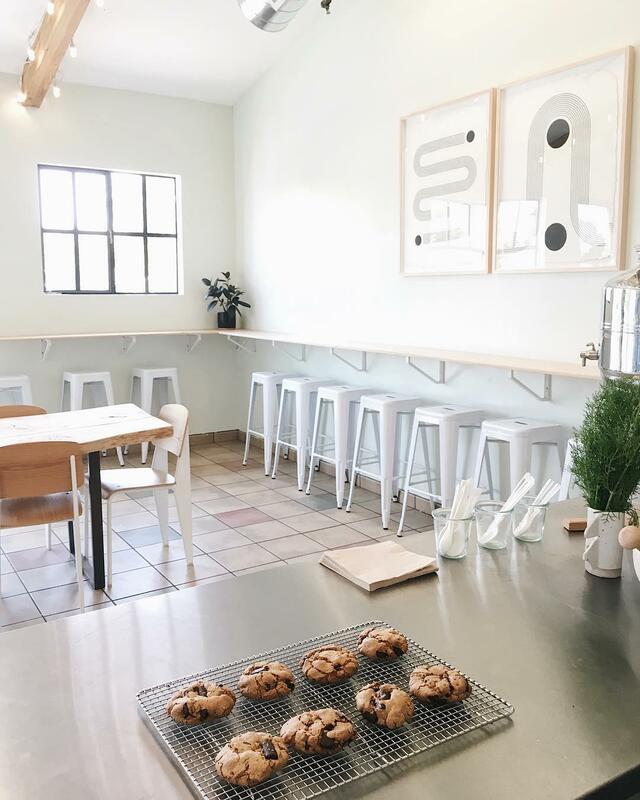 Australian coffee and sausage rolls collide with cold brew and stuffed biscuits at this LA coffee shop that’s best enjoyed with friends who like to indulge a little. 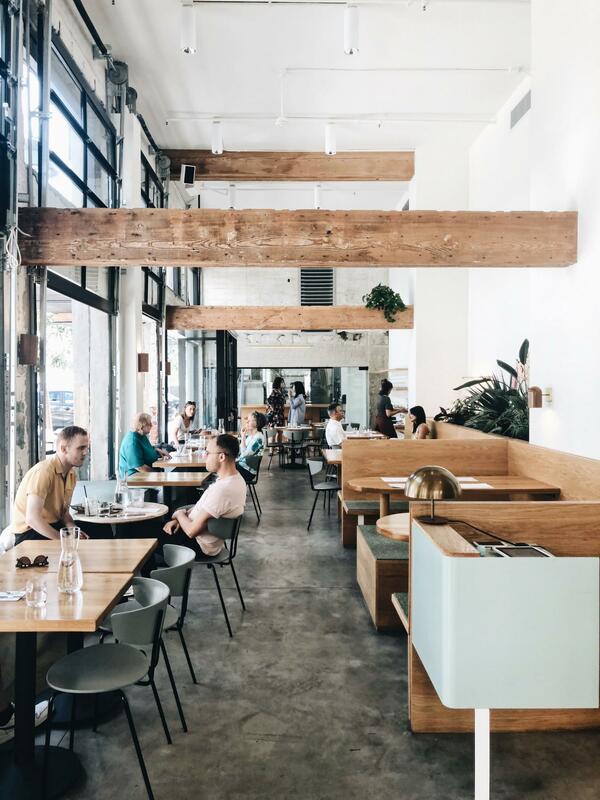 Paramount Coffee Project is Aussie-born but fits very well into the LA scene with its practically perfect interiors and laid-back attitude. Vanilla bean, crème brûlée, chocolate salted caramel and cherry blossom are just a few of the macaron flavors on regular rotation at this Oklahoma City specialty café. 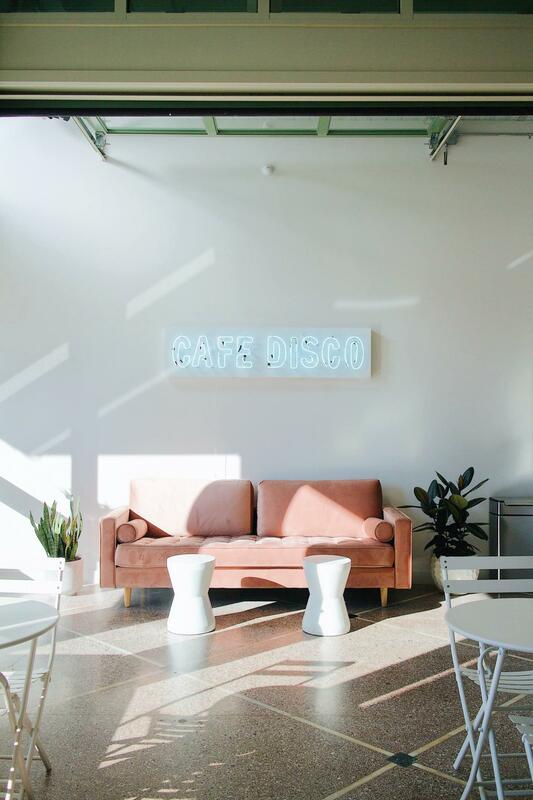 Cafe Disco is a highly focused shop that exclusively hones in on the craft of macarons and cappuccinos. 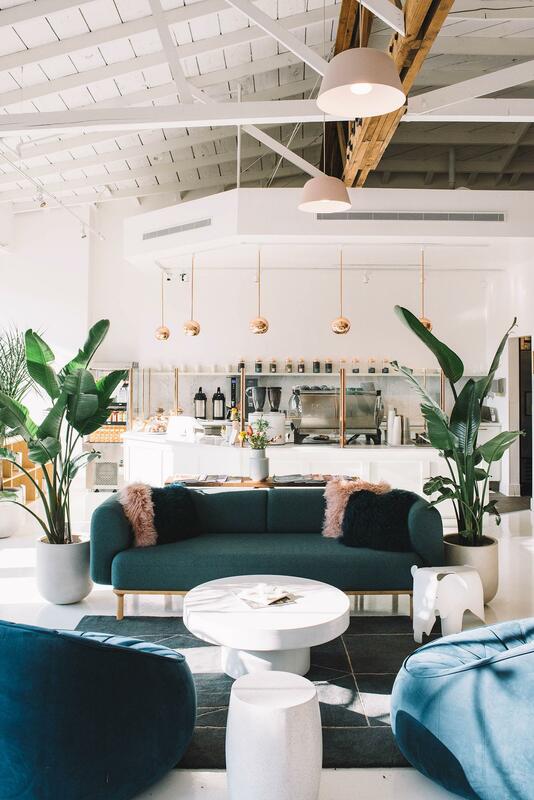 The space is simple with just a cozy pink couch and few bistro tables for seating, but it would be a great place to do a brand collab or pop-up shop if you were so inclined. 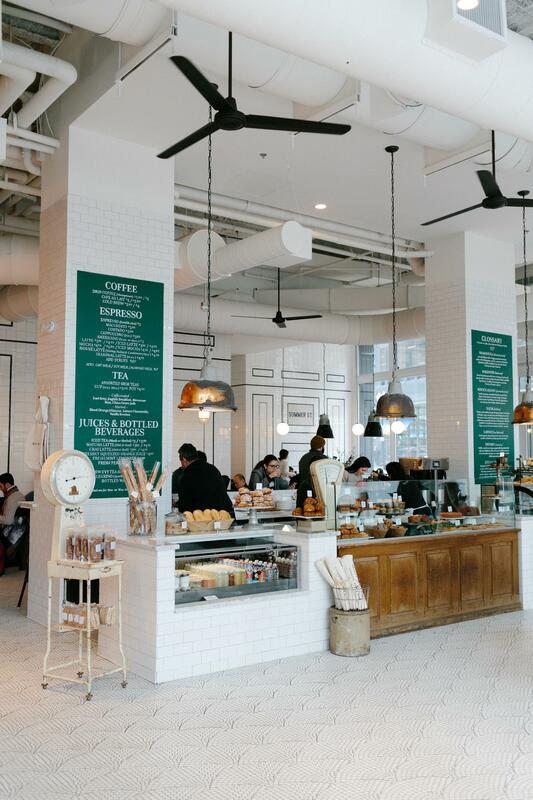 Fan favorite Tatte Bakery just recently opened its latest location on Summer Street in downtown Boston serving up the same pastries, breads, gluten-free treats, brunch, lunch and Stumptown coffees they’ve become known for. The white-tiled space filled with sunlight, communal tables and black banquette seating makes an easy place to meet up with friends for a study session or chat with a few of your business partners. 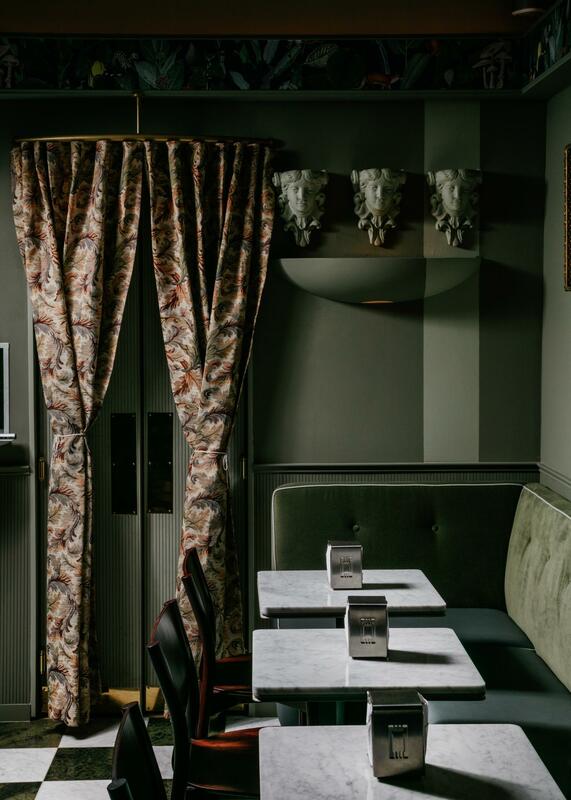 The Bureau is located inside Pittsburgh’s iconic 1970s Detective Building and serves coffee, pastries, brunch, dinner and Sunday suppers. Private events can be booked in the vintage-style space and it would be great for birthdays, baby or bridal showers, pop-up events, workshops or business meetings. 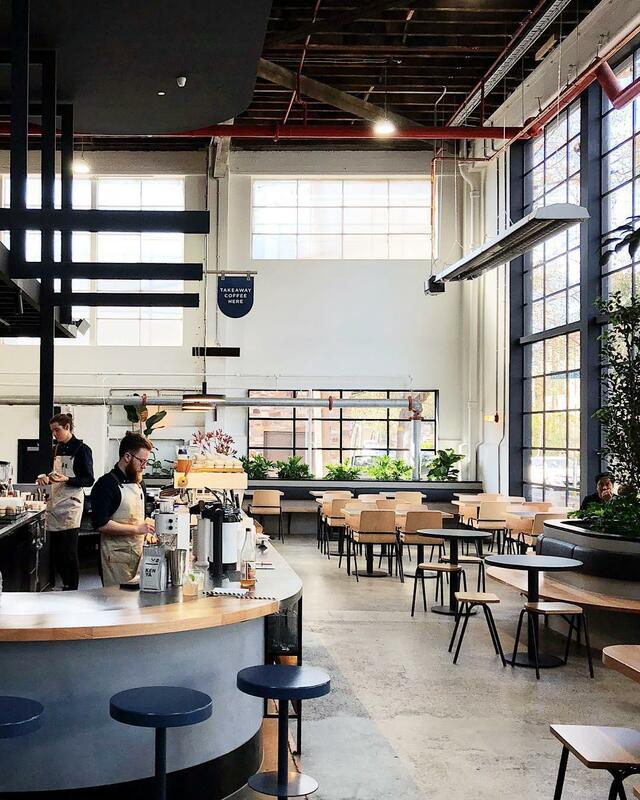 Veneziano expanded its roastery to include a café in September last year, teaming up with local architecture firm Techne to transform the giant warehouse into a hub for Richmond locals. The resulting space is flooded with natural light and still feels very much like a working warehouse and roastery. It’s a great place to get together for a business meeting or a meet-up with friends. A go-to for healthy food to-go, Food Mechanic in Sebastopol offers a menu that’s always gluten-free with vegan and vegetarian options. They even make gluten-free chocolate chip cookies that can be bought by the event load. 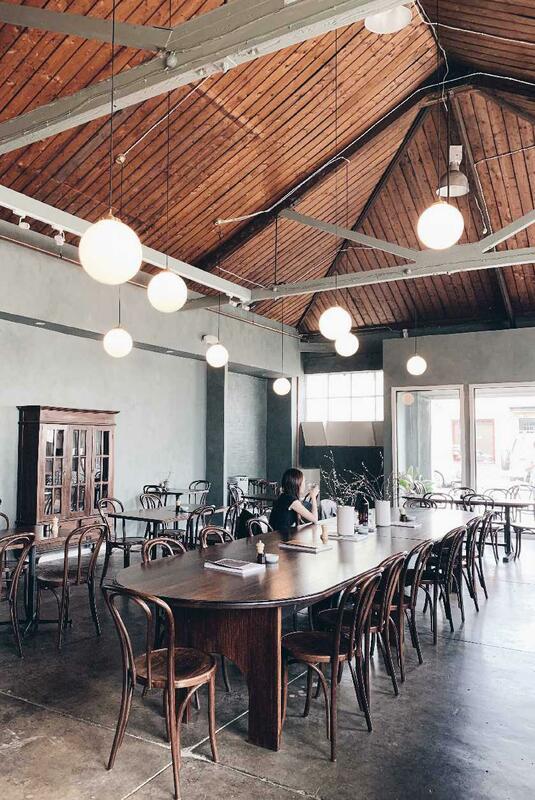 Plus, the shop is light and airy with a communal table so it’s easy to enjoy a meal here shared with others. Elm Coffee Roasters has been operating in Pioneer Square for a few years now, but their new café located at 9th & Thomas is a beautiful addition for the team. 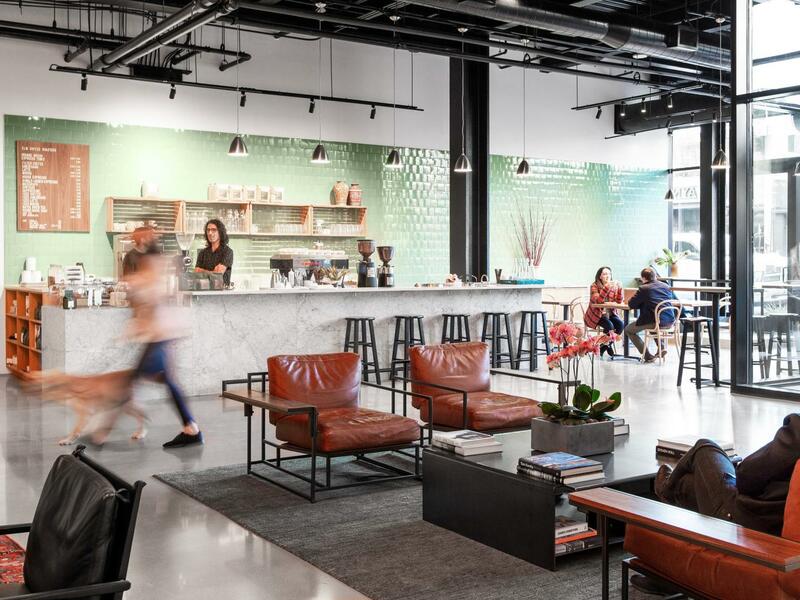 The bright, colorful space designed by Olson Kundig is great for scoring an afternoon cortado, catching up with your co-workers and sharing a smorgasbord of locally baked pastries. 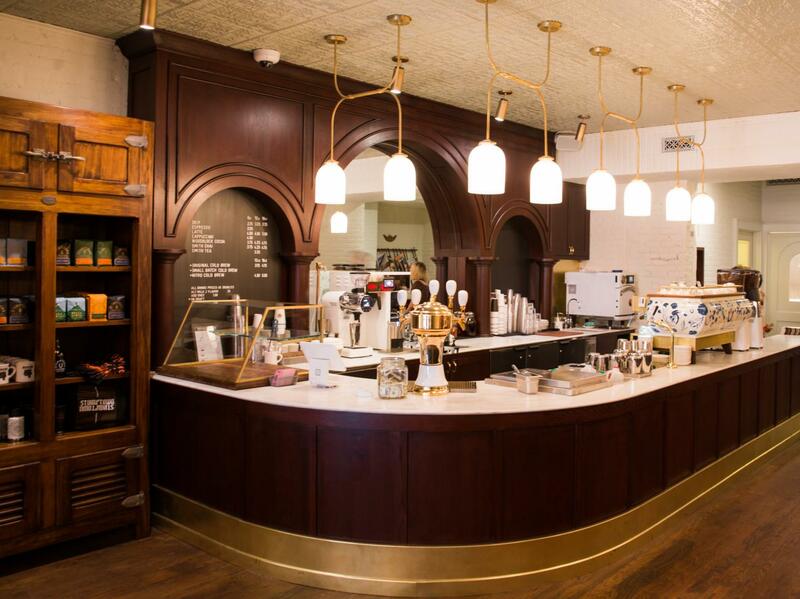 Colombian coffee brand Devoción is known for creating beautiful coffee shops and their latest opening in NYC’s Flatiron District lives up to that reputation. 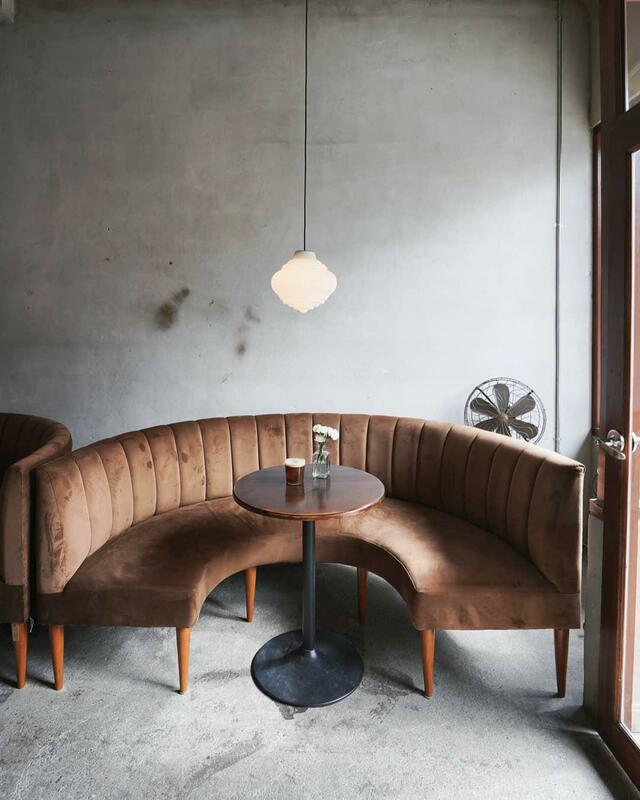 The vintage vibe lends well to sipping pourovers or cold brews with friends or colleagues. Starbucks is on track to open a monstrous four-story entertainment center and roastery on Magnificent Mile, complete with an urban rooftop, later this year. We don’t yet know an exact opening date or what the event options will be, but we have a feeling that for folks who are faithful to the Starbucks brand, this will be a must-stop on any trip to Chicago. Banquettes, lounge areas and a good use of color make the interior of Café Dardaneli comfortable enough to set up with a study group, yet formal enough to get through a casual business meeting. There are lots of strong coffee options and the cake with raw ingredients is a must-try. 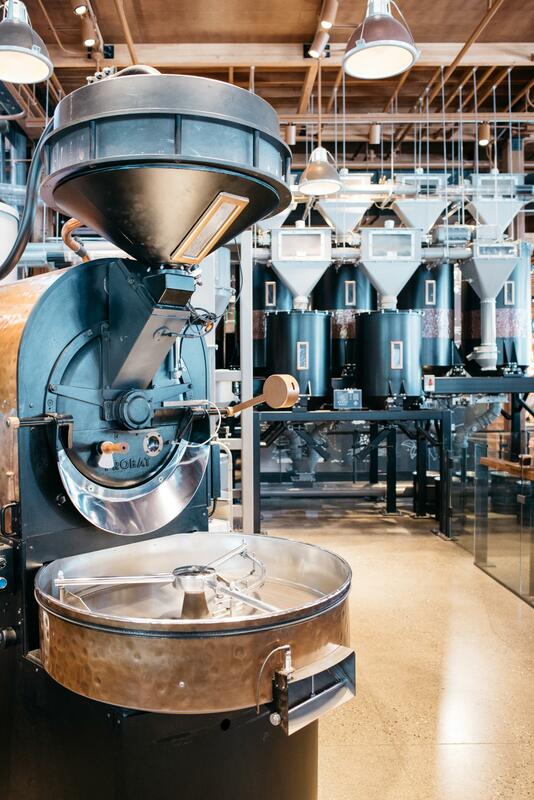 The beloved Portland brand Stumptown opened its first Brooklyn shop over the summer in a beautifully renovated mid-19th century firehouse. 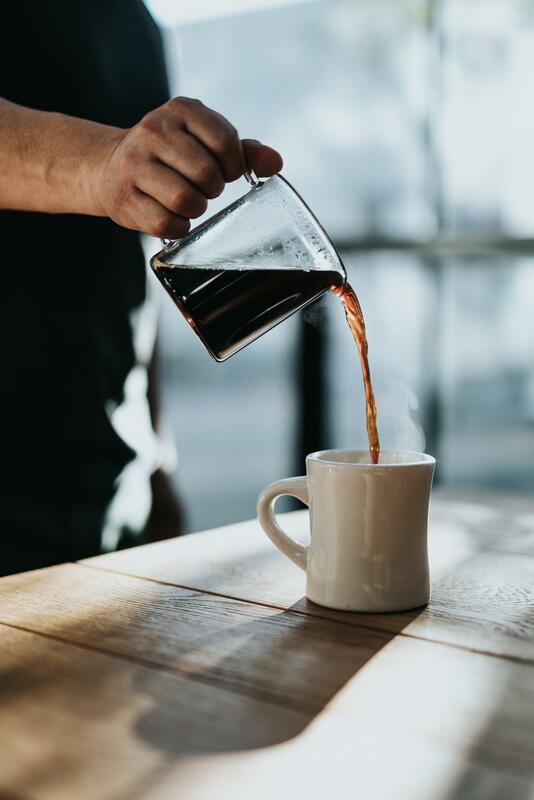 The Cobble Hill shop is serving the expected list of coffees, including cold brews on tap and pour overs, in addition to Lalito’s food menus. Hot tip: try the banana tahini bread! 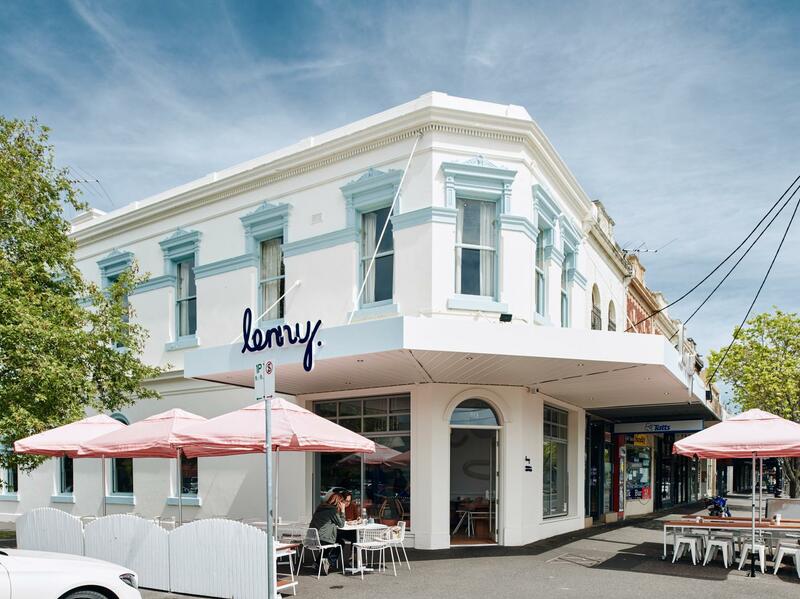 Just around the corner from Auckland’s Lido Theater sits this adorable café. Coffees, teas, smoothies, eggs and pastries by a local baker round out the breakfast offerings while the lunch menu has a selection of salads and sandwiches to choose from. We love Flour Mill Café for its friendly, comfortable atmosphere, which makes it a great place to catch up with people you love. Awash in moody tones and industrial vibes, Looper & Co. is equal parts espresso bar and cocktail bar. 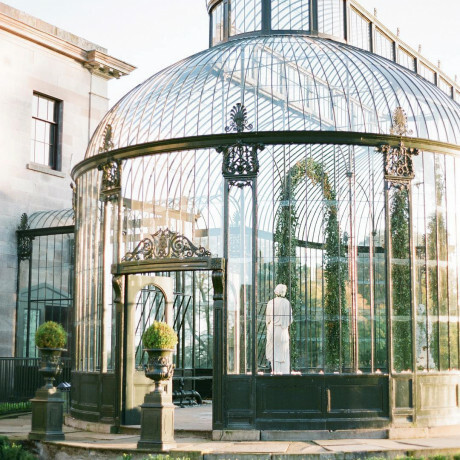 A visit here with friends in the evening is sure to be the sweetest treat. 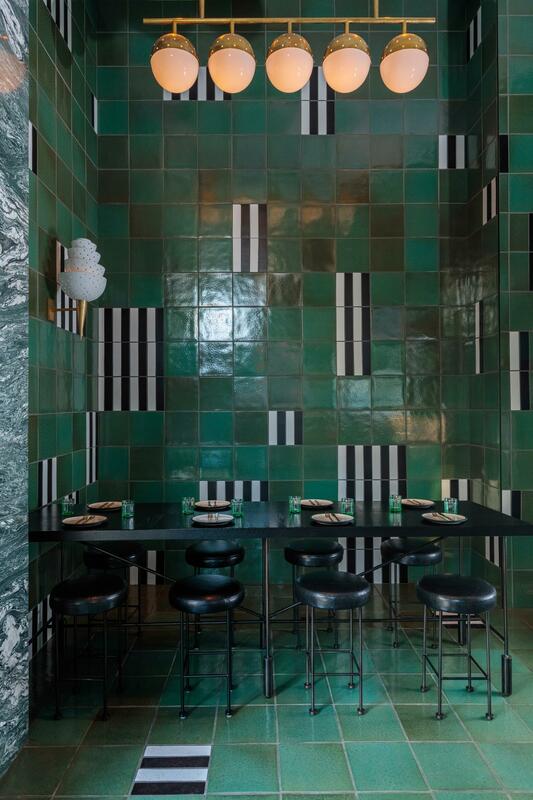 A fearless use of color collides with a fearless production style around the cocktails at Felix Roasting Co. Here, you’re as likely to find yourself grabbing a flaky croissant and a latte on your way to work as you are to meet friends in the back lounge and sip a Deconstructed Espresso Tonic — espresso, tonic water, hibiscus-amaro reduction, Meyer lemon juice; accented with a spritz of rosewater and bright sprig of fresh lemon balm. 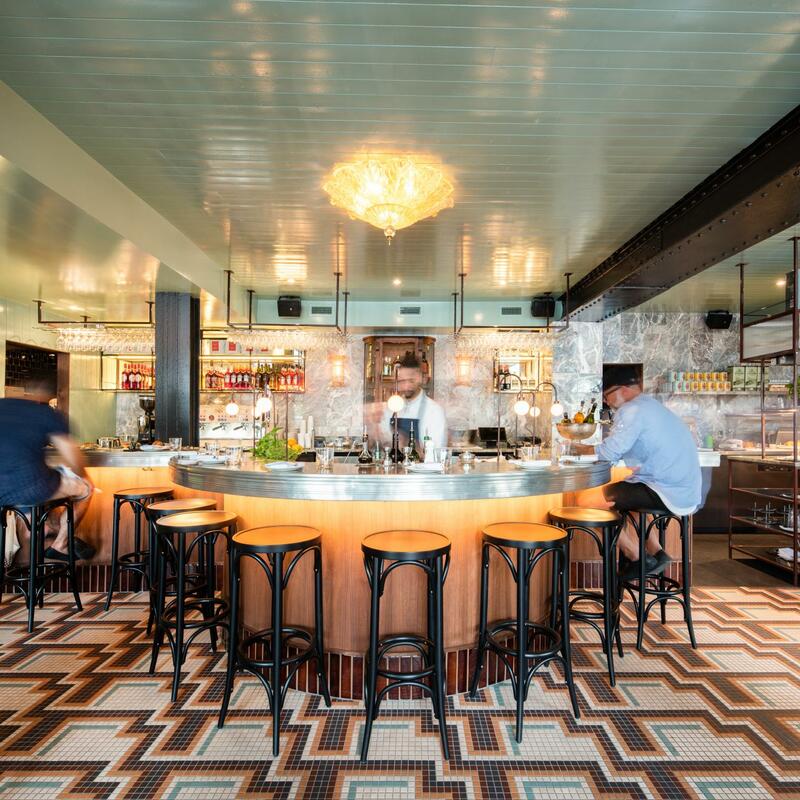 Regardless of your choice of beverage and company, the Ken Fulk designed space is a beauty. 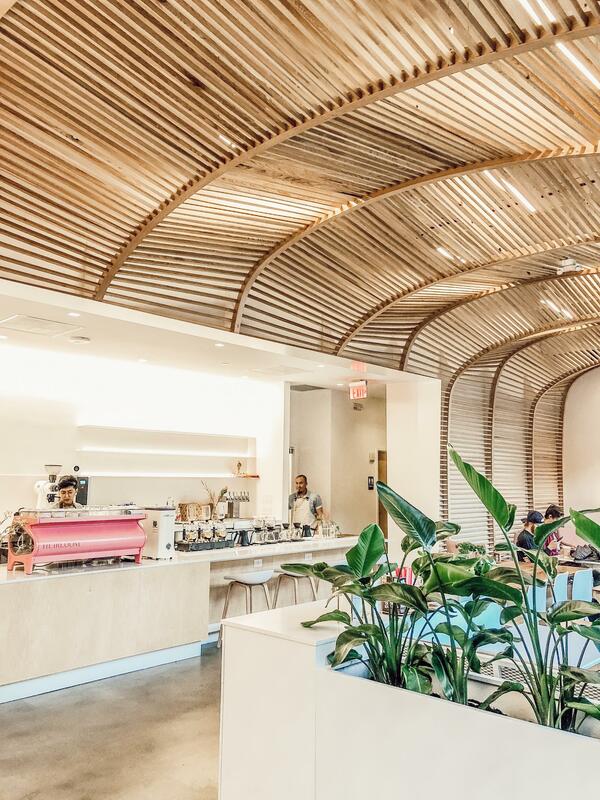 Downtown Raleigh gained a coffee shop, tea house and sake bar last October and it’s a dream of a space with tons of natural light beaming in through floor-to-ceiling windows. 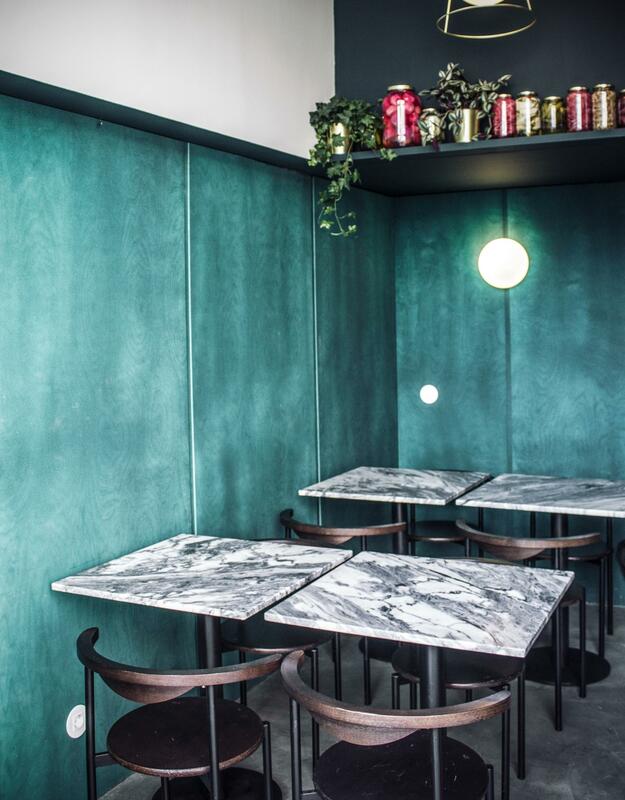 The menu incorporates Taiwanese, Laotian and Japanese influences with foods that range from beautifully crafted mooncakes to Taiwanese fried chicken. 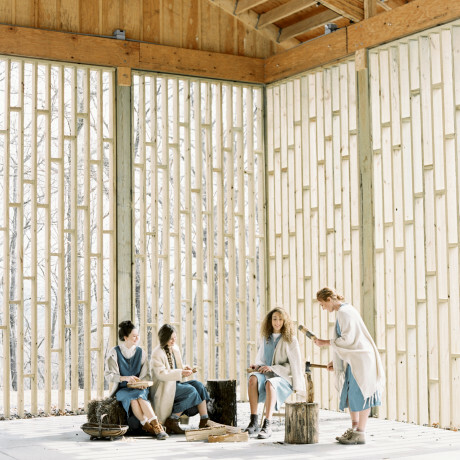 With its wood cladding and sweet pink accents, the space would be a great backdrop for a gathering of gals. 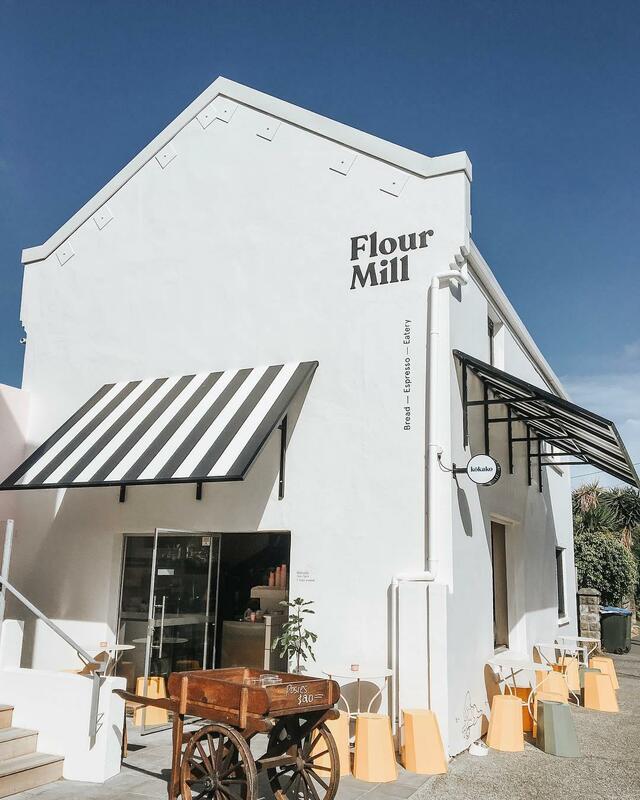 A cheerful crew of coffee slingers, lots of tall windows, lush hanging plants and a big outdoor courtyard make this South African coffee shop the kind of place that’s easy to go to for a meeting, quick chat or small gathering of folks. Denver-based roaster MiddleState Coffee have a café in the works that’s set to open very, very soon. 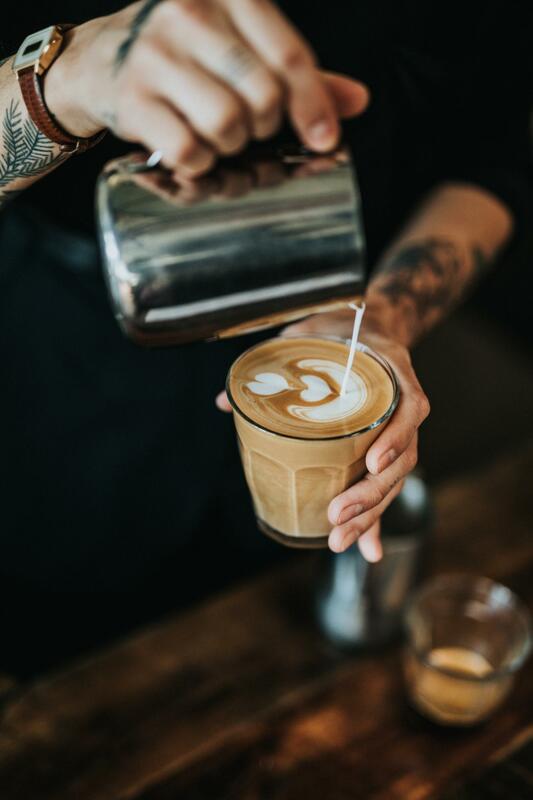 While we don’t know much about what their event capabilities will be, we do know that you can expect an excellent cup of coffee served in a rad, modern industrial space that’ll make you want to stick around a while. 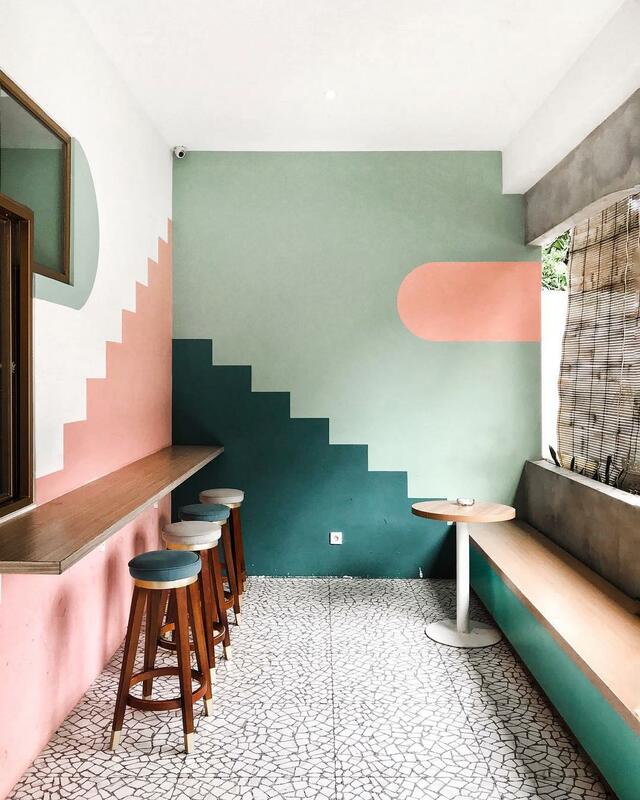 Pastel color blocks, comfy chairs and cozy nooks abound at this Jakarta café that makes a great spot to catch up with friends. Pony up for the Pono special - a combination of coffee, strawberry milk and chocolate. If you’re planning a long bike ride through Detroit with friends, a stop by Bikes & Coffee at the start is a good plan. This crew is happy to give your bike a full service while you grab coffee and a bite to eat. 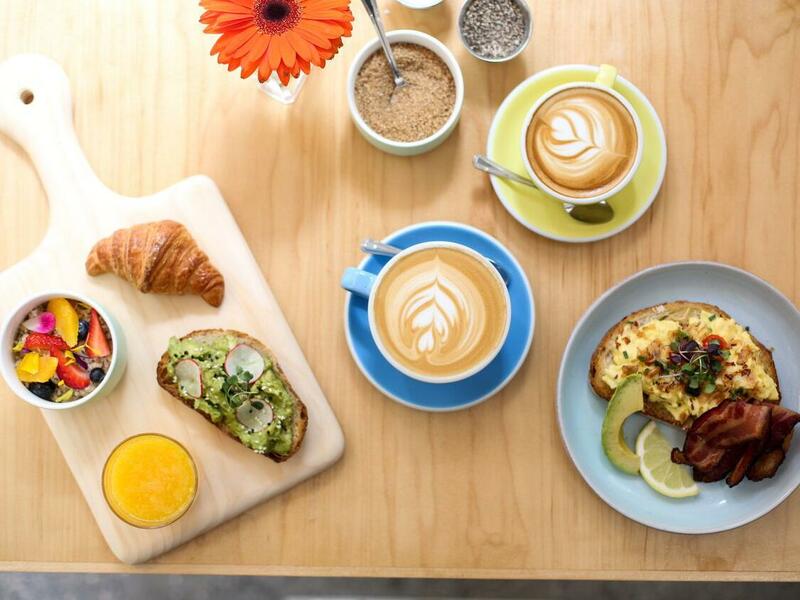 This Australian café has been killin’ it in the FiDi for years, slinging their flat whites and soft buttery scrambled eggs. 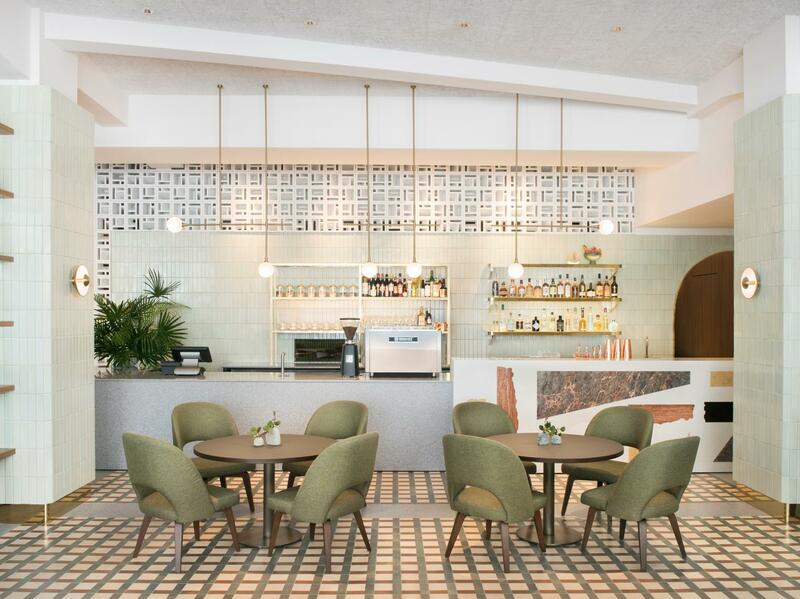 And now they’re adding a Murray Hill zip code to their roster with the opening of Hole In The Wall in the brand new American Copper Building this April. 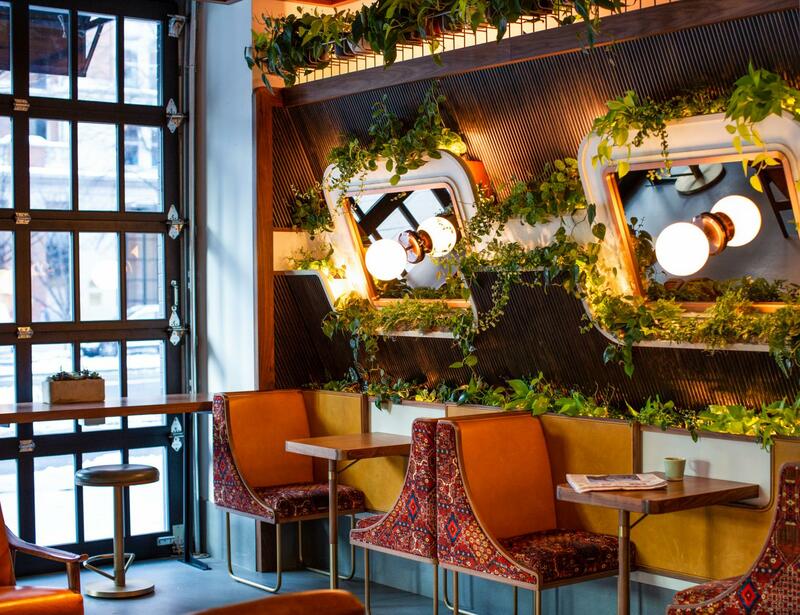 It’ll be an all-day dining spot with highlights from the FiDi menu by day in addition to a solid dinner menu and lots of natural wines from around the world. Downtown Santa Barbara’s Café Ana is an all-day coffee shop and eatery that does breakfast, lunch, weekend brunch and dinner. 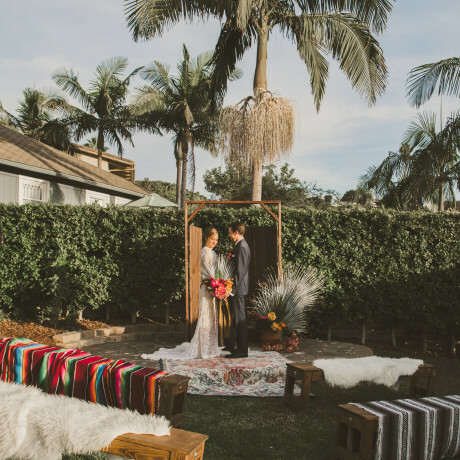 The space is very clean-lined and modern, with just the right amount of California sun shining in. Hot tip: if you’re planning on brunching here on the weekend, you can reserve a table online for up to six guests. 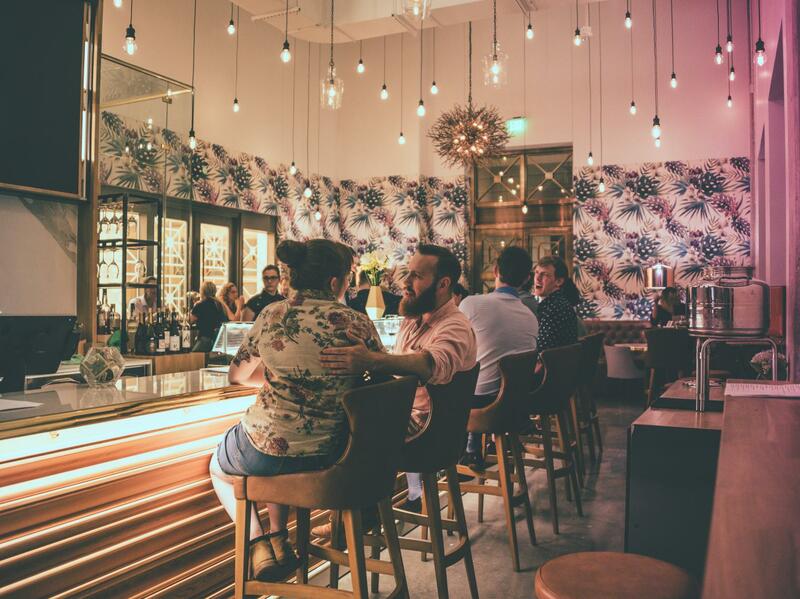 If the cane furniture, macrame wall hangings and lush tropical plants make you feel like you’re in Bali, it’s all part of the design concept at Gypsy. 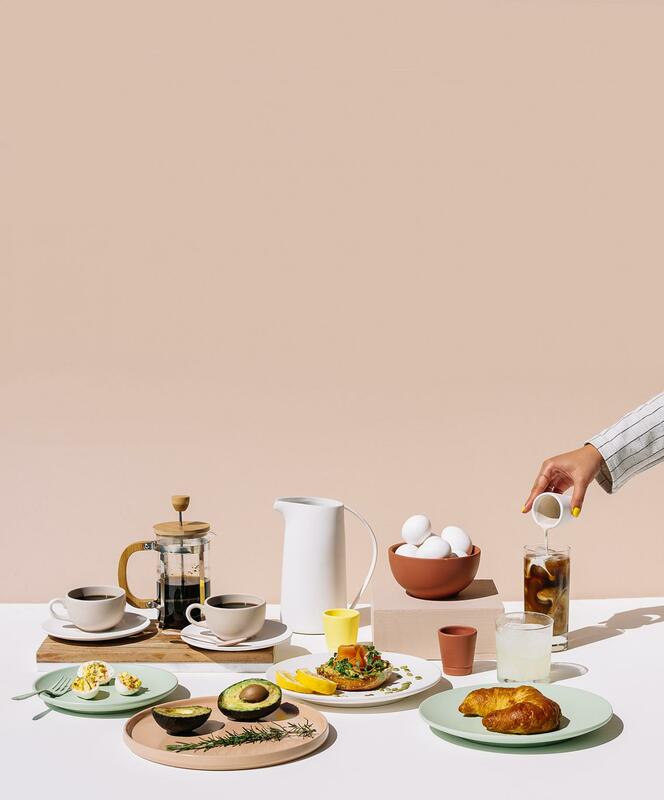 The café brand started in Bali but opened its second shop in Montreal this past fall, giving the Plateau a gorgeous destination for smoothie bowls and avocado toast. 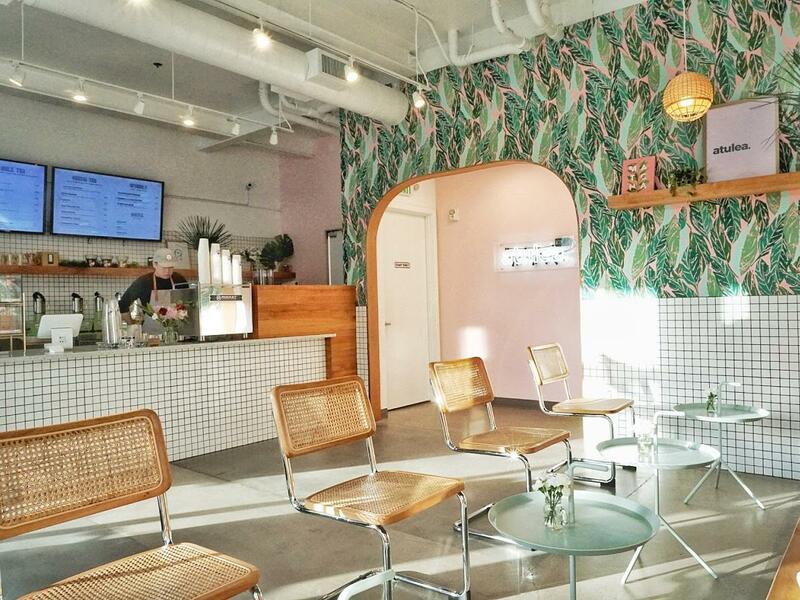 We’d love to see a pop-up shop here for a wellness brand or health-conscious product launch. 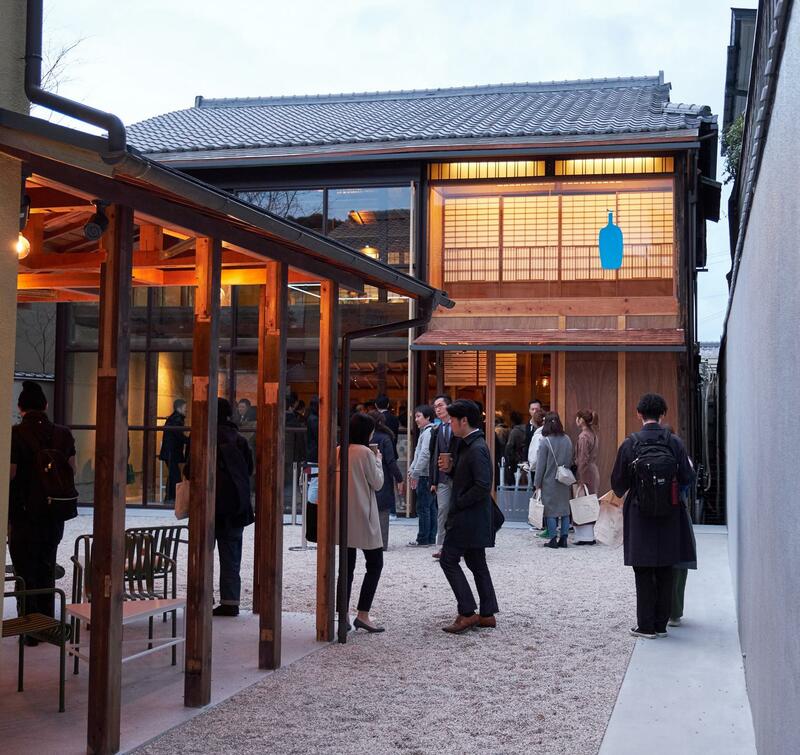 Stars of the international coffee scene, the team behind Blue Bottle Coffee opened a shop in Kyoto last spring. The space is very zen and offers seating indoors and out. Order the NOLA iced coffee and sea salt chocolate chip cookie. Trust us on this. 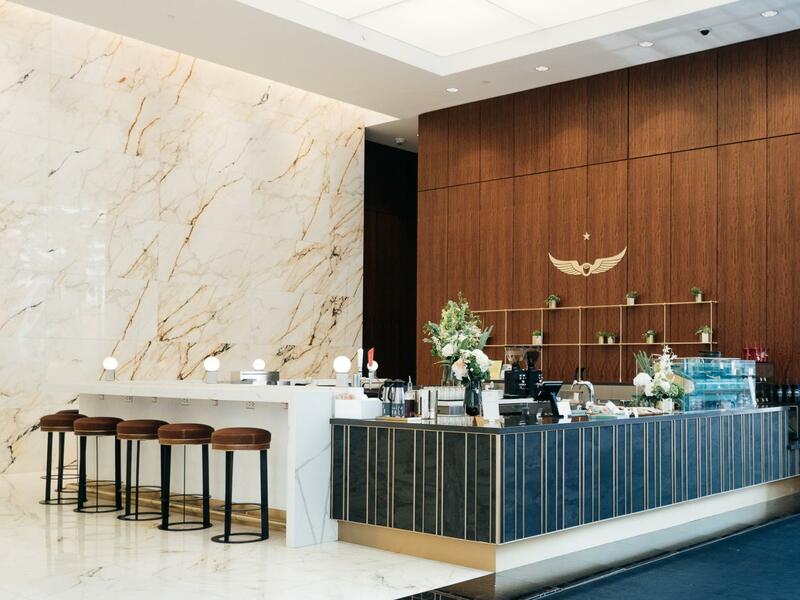 This past fall, Boston’s Financial District got a new coffeebar by coffee roasting powerhouse Intelligentsia Coffee. 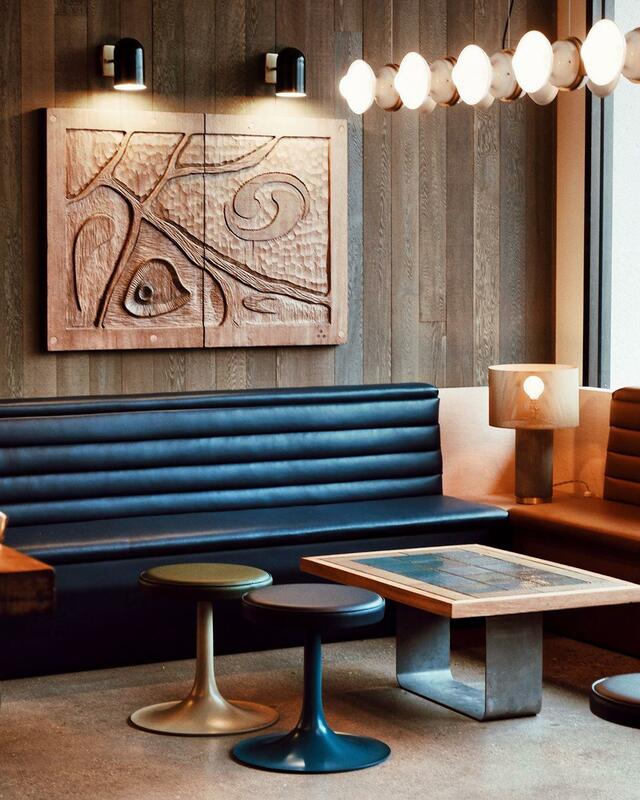 Located in Post Office Square, the space feels like a throwback to iconic European hotel lobby bars of yesteryear. 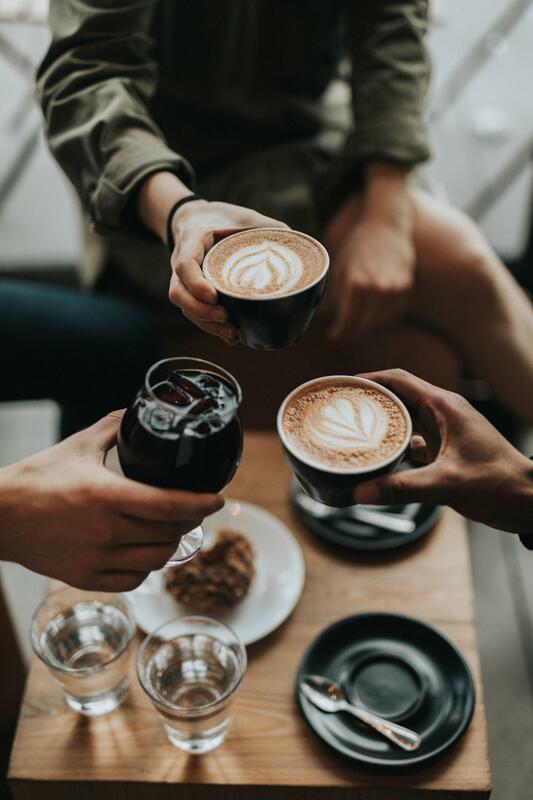 While you wouldn’t necessarily host a party at the coffeebar, you can easily order coffee for your next meeting or get together from this location. There’s also a coffeebar in the new TWA Hotel coming soon and an Austin coffeebar on the horizon. With an abundance of éclairs, caramels, beautifully crafted cakes and plenty of flaky croissants, Marie Antoinette herself would not be disappointed in the selection of sweets at La Pâtisserie in Charleston. 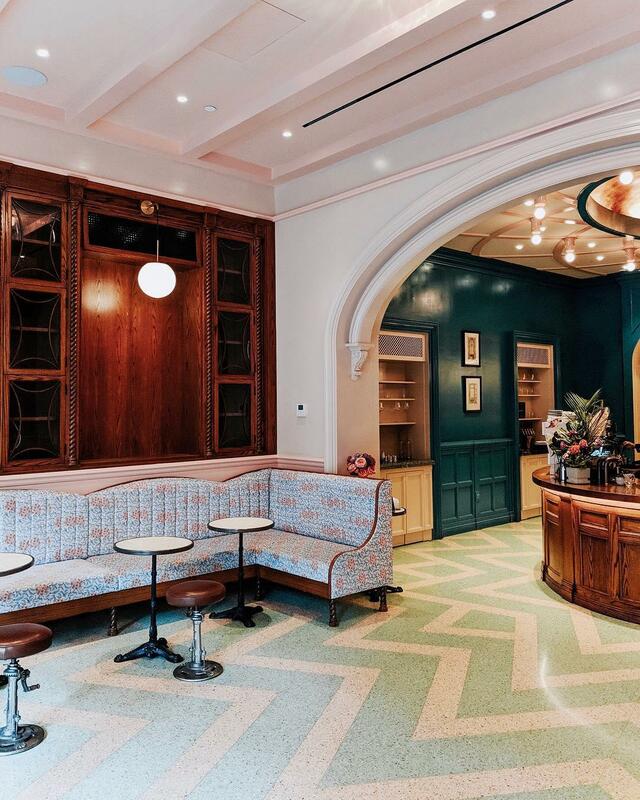 Located inside Hotel Bennett, this beautiful coffee and pastry shop would be a lovely place to host a bridal brunch or afternoon tea. 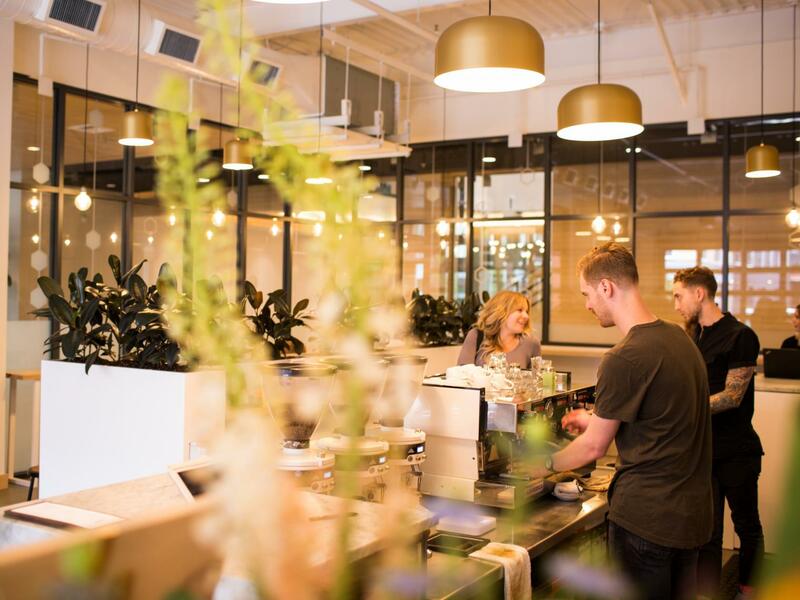 Deeply Coffee opened its Orlando doors in summer 2018, bringing with it a solid menu of local King State coffees and really good natural wines. The team occasionally hosts tastings in the space, which is clean, bright and modern enough for just about anyone to enjoy. As for gatherings, we wouldn’t think twice about bringing our buddies, work colleagues or little kiddos here to hang, study, collaborate or simply sip. 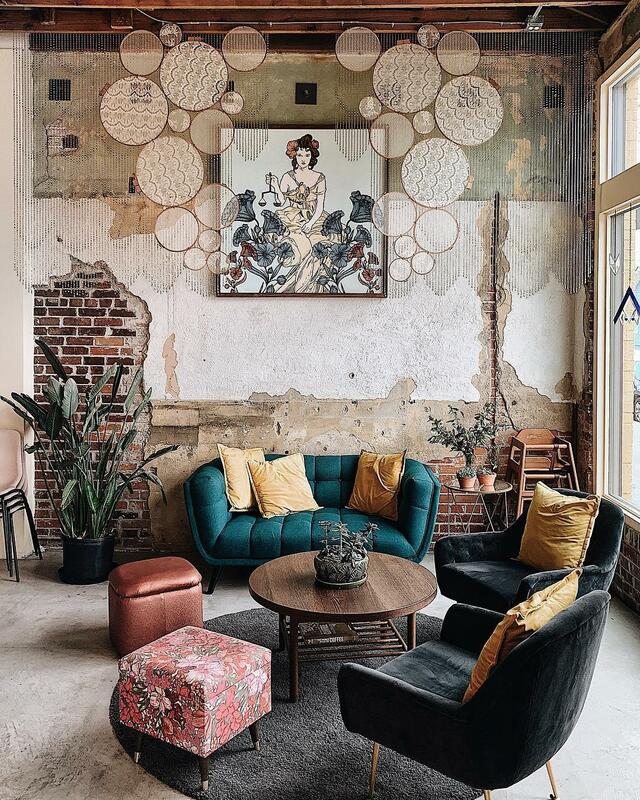 Nashville’s Stay Golden is a quaint hospitality-minded community hub for food, coffee and cocktails. The new East Nashville location offers an expansive outdoor patio and customizable private event space. Coffees, teas, juices, smoothies and light bites are all on the menu at People’s Coffee in Durham. 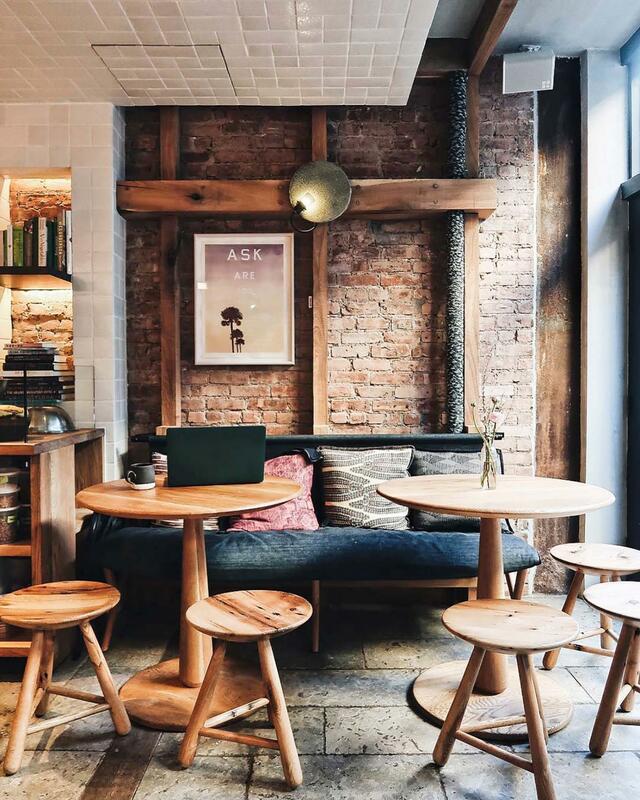 There’s a big wooden coffee bar that’s comfortable to sit at if you’re studying or reading solo, but you’ll want to snag the window banquette tables if you’re headed in with friends or family. 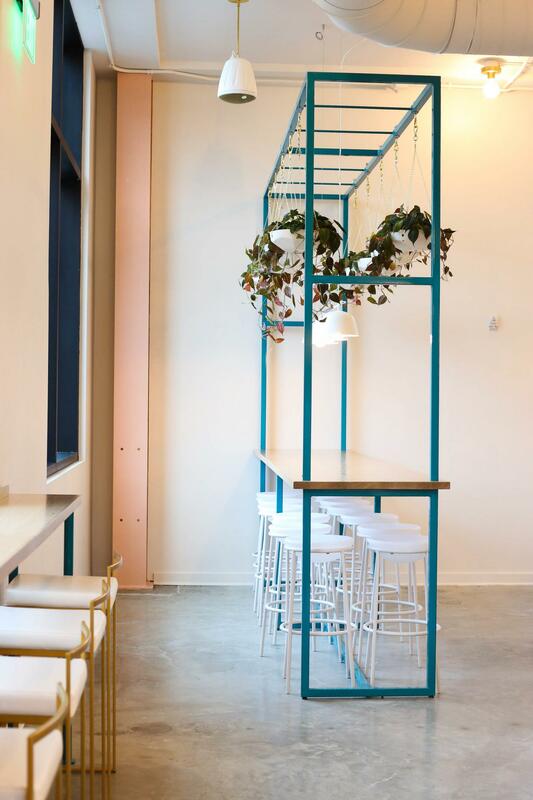 A white warehouse that sits on a small street just off Brunswick in Fitzroy is home to this new café. 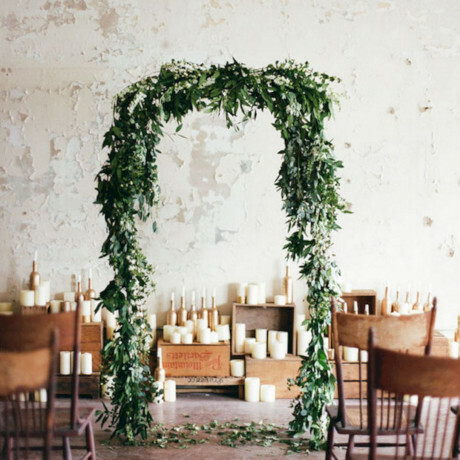 The space is a beauty with olive green walls, warm woods and lots of sunlight. The food leans vegan and vegetarian friendly while the coffees are on constant rotation. Louis would be a great place to host a big birthday bash or creative workshop. This lever-powered espresso shop in Bangkok offers an interesting menu of coffees including a customer favorite that combines iced and shaken espresso, citrus and mixed berries. Sometimes I Feel is the kind of place you stop by with a couple of loved ones in tow and end up spending a few hours just relaxing. 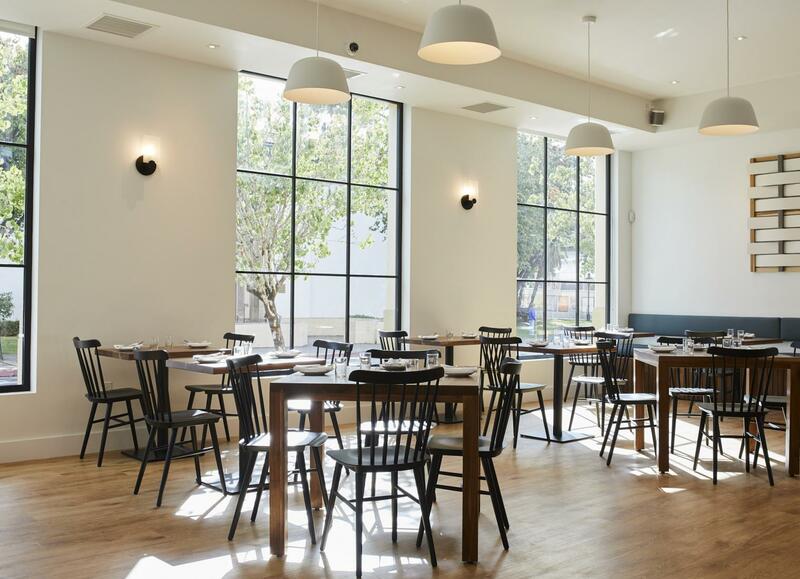 Though the Campbell location is the third Manresa Bread to open, this one is a whole new ordeal with all-day menus and seating for up to 35 guests. The menu is big on sandwiches, breakfast toasts with delicious toppings like ‘nduja, ricotta and honey, and dinner options -- like country pâté -- that pair well with crusty breads. The space is bright yet cozy, a place that would likely be a good pop-up shop location. 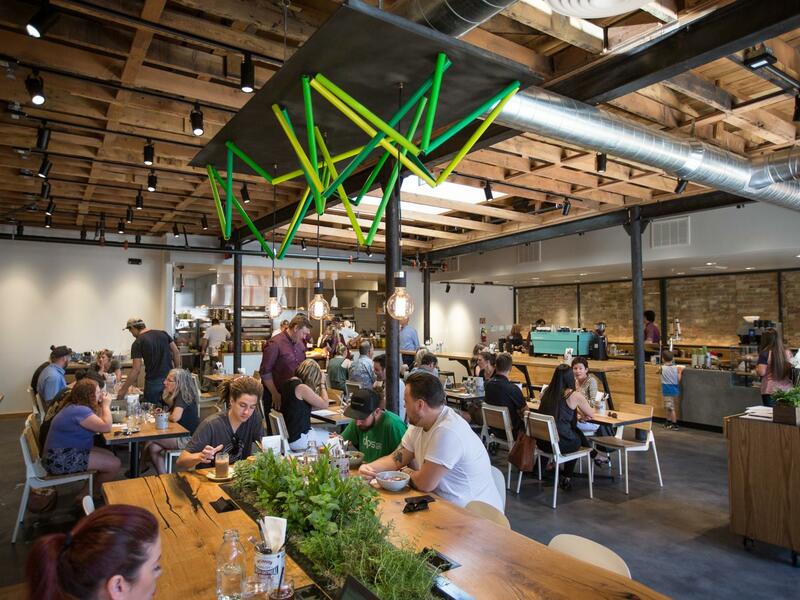 Sydney’s residential-meets-industrial neighborhood of Mortlake sets the scene for this new café from Wolfpack Coffee Roasters that makes a great place to spend a leisurely morning with friends. It’s a real community place, with seating spilling out onto the sidewalk, and it serves toasties and the best coffee around. 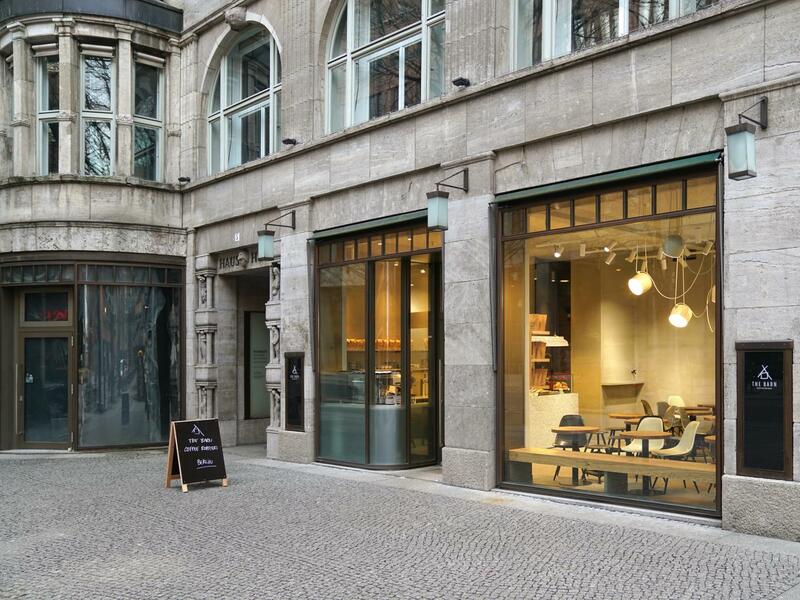 This 40-seat Berlin café is housed in what was once a major meeting place for society and wine lovers. 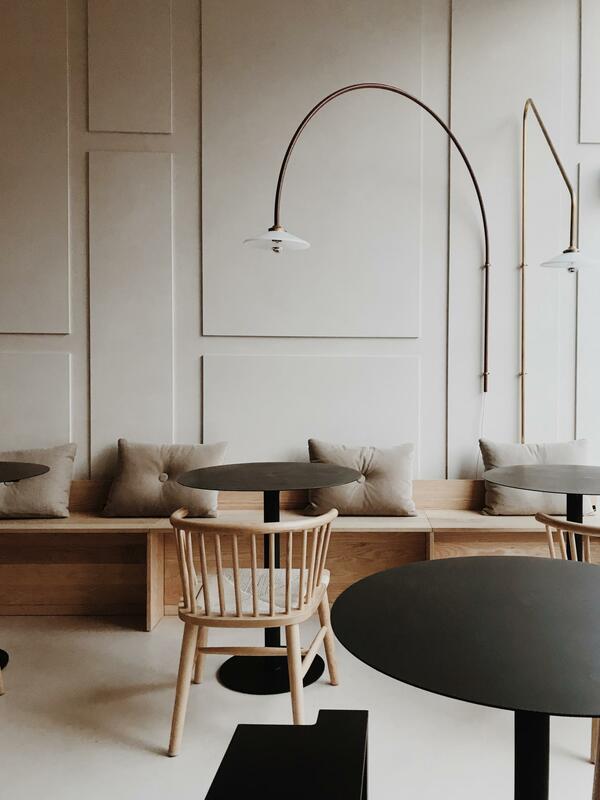 The Barn at Potsdamer Plaza serves coffee, sandwiches, cakes and light fare from morning to evening in a space that’s very comfortable to enjoy with friends or family in tow. This small Lisbon café packs a whole lot of personality into one cheerful place. 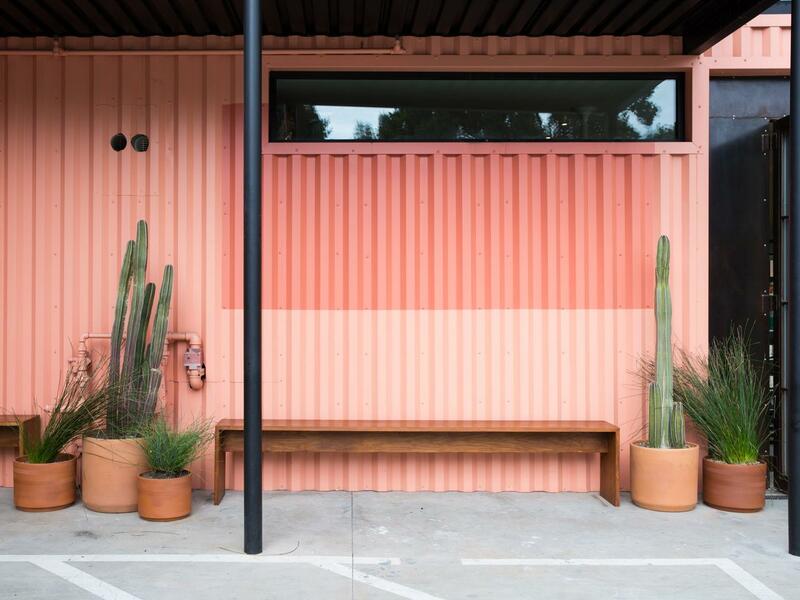 Chérie Paloma is open all day Thursday-Monday and serves everything from healthy yogurt and granola bowls for breakfast to tacos and strong cocktails for dinner. 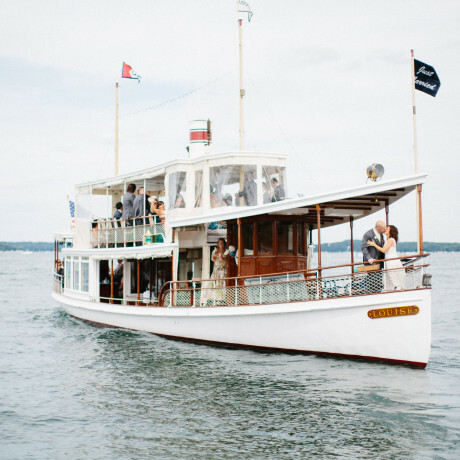 The sweet space can be booked for private parties, workshops and photo shoots. 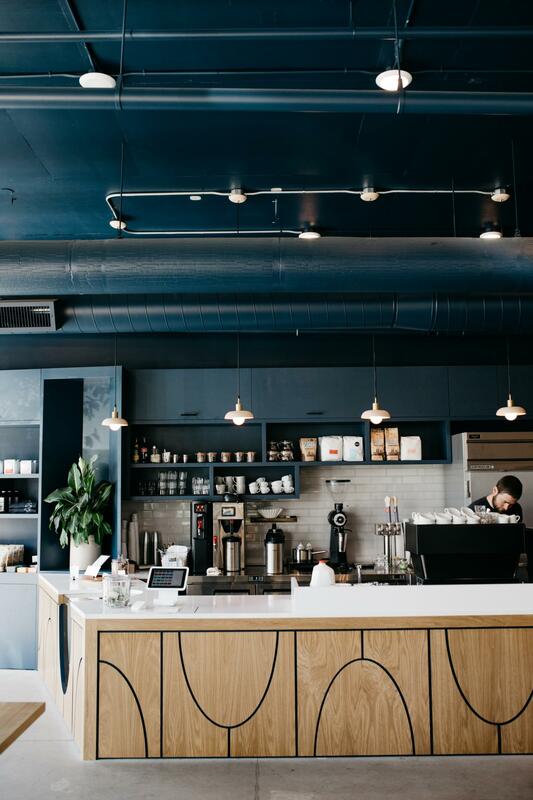 Portland favorite, Good Coffee opened two new locations in the past year, one in Slabtown and the other inside the new Woodlark hotel. As the Woodlark spot is in the hotel lobby, the Slabtown shop is probably the location you’ll want to hit if you’re looking for a hang session with friends or meeting with colleagues. 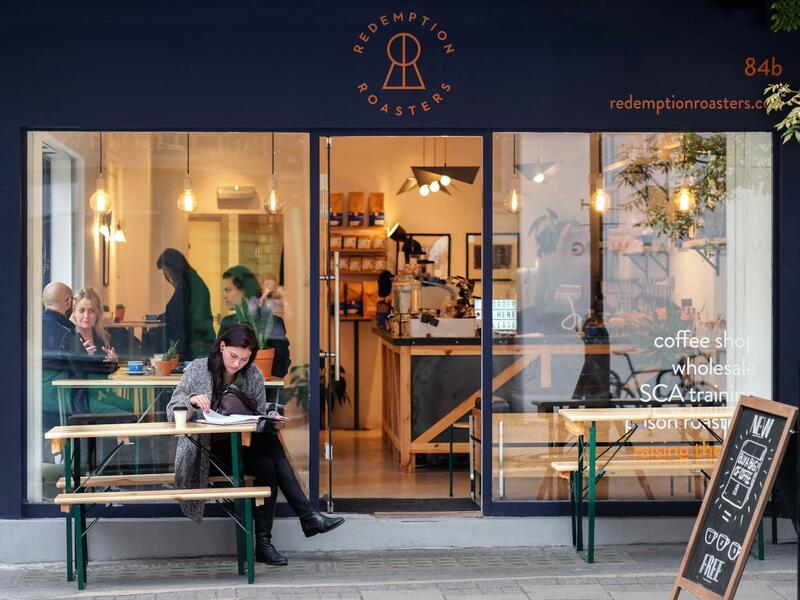 This London coffee brand trains Aylesbury Young Offenders Prison inmates in all things coffee, from roasting to serving. 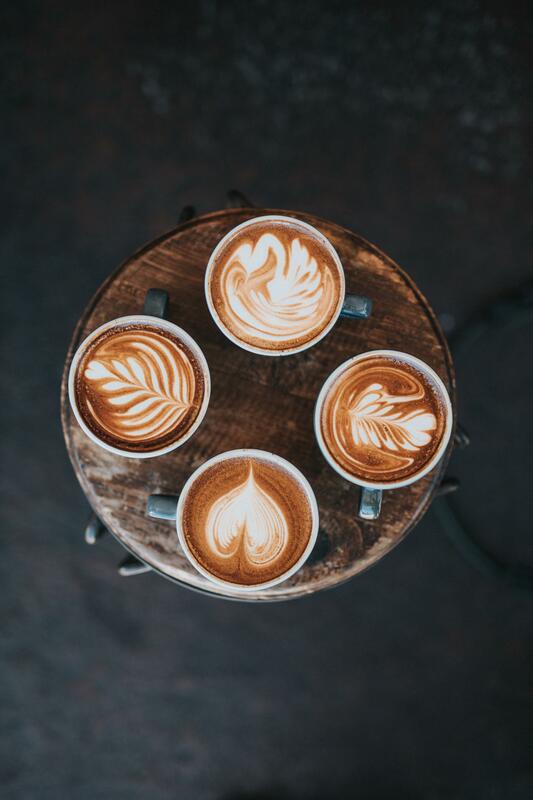 The socially conscious company includes a roastery, a barista academy, a coffee training center and three cafés with another in Broadgate on the way. Campos is an Australian coffee brand with shops all over the world. 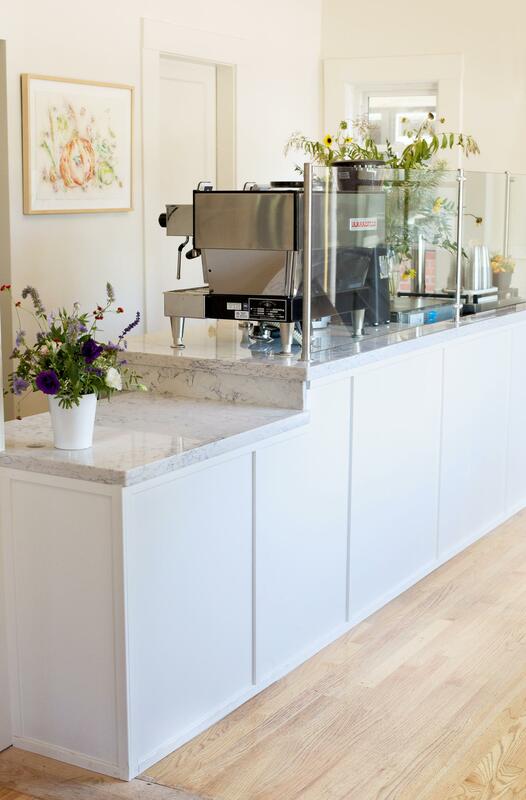 The SLC location opened last summer and roasts on site. There’s a fresh Aussie style food menu available all day, including dinner on the weekends. 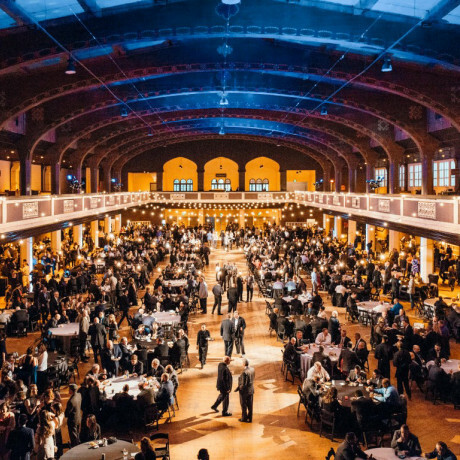 The spacious warehouse is awesome for holiday parties, educational workshops, creative meetings and more. 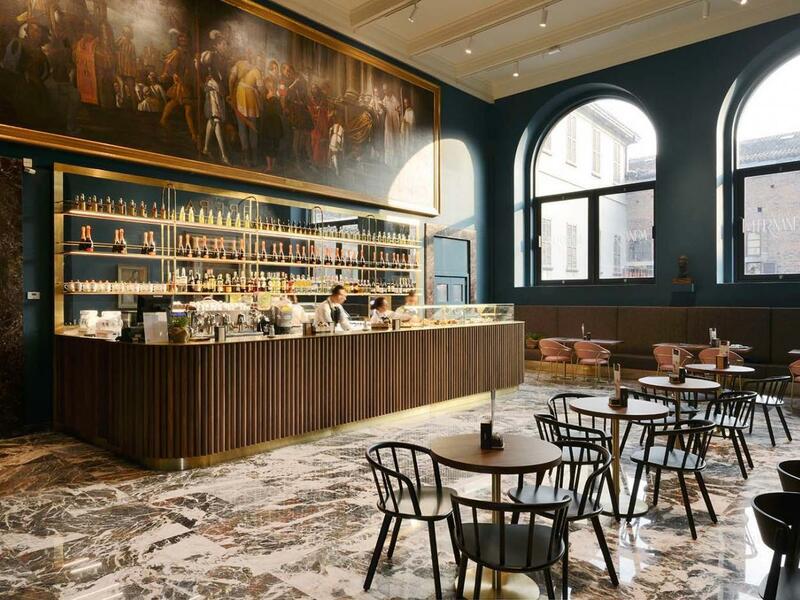 Otto is a Viennese-style café where guests can grab-n-go with a waffle and a latte from the service window or sit and dine for a while on fine food and wine. The sophisticated setting, inside The Adolphus Hotel, makes an easy place to have a business meeting or get together with a group of stylish friends. Downtown Houston got a new café, cocktail bar and restaurant with the recent arrival of Coterie. This all-day dining spot offers everything from eggs Benedict to brick oven pizzas to pierogies. The small ground-level Market Square Tower space has tall ceilings, lots of natural light and colorful wallpaper, creating an atmosphere that makes it easy to have a casual meeting or grab a bite with friends.